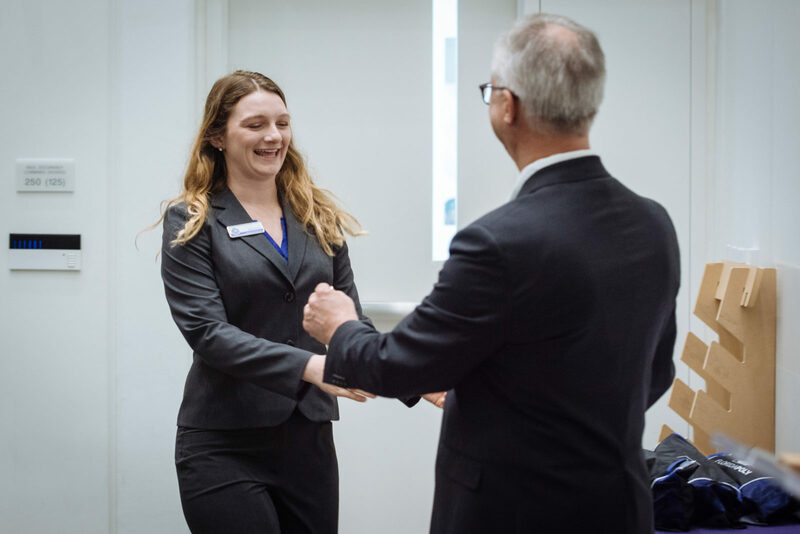 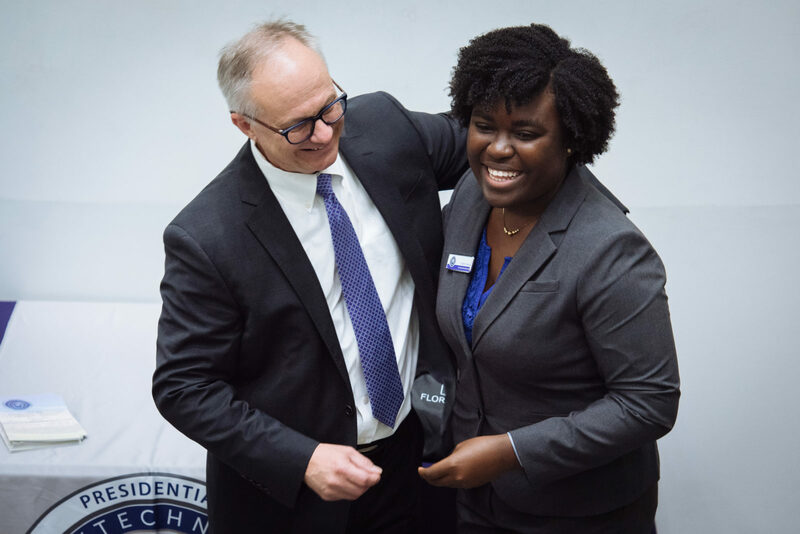 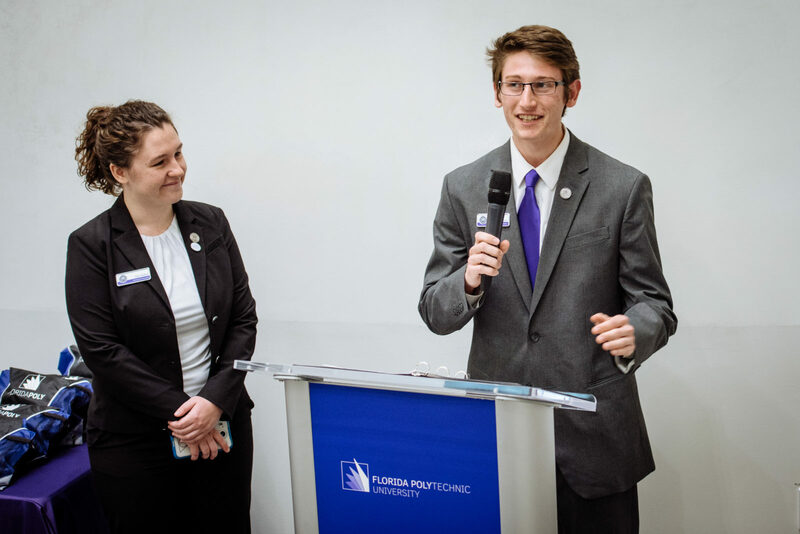 One of the most distinguished student programs at Florida Poly welcomed 10 new members, Monday, April 23, at its annual induction ceremony. 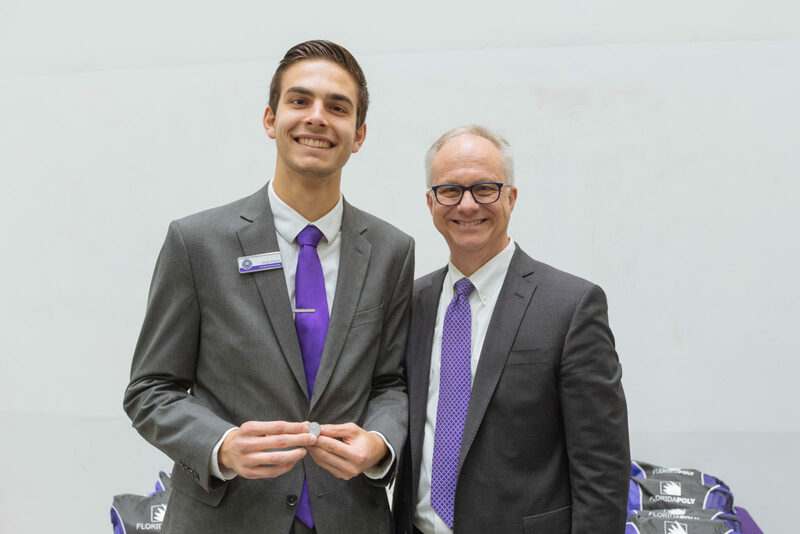 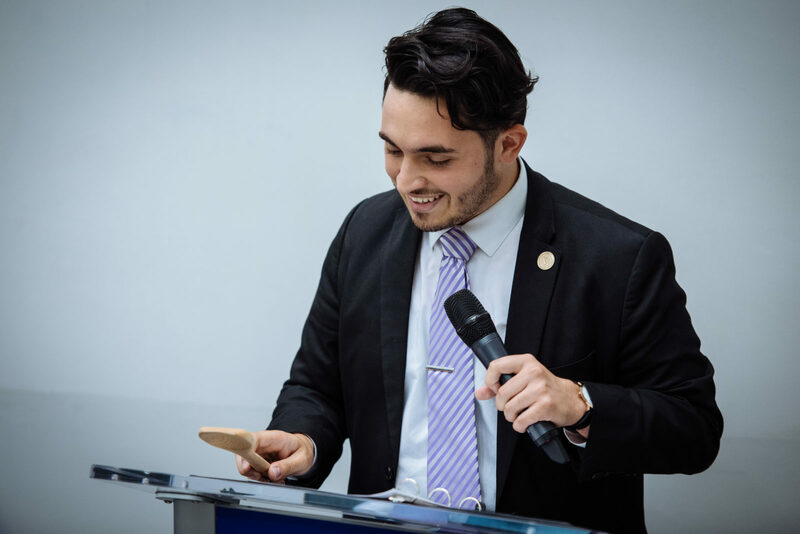 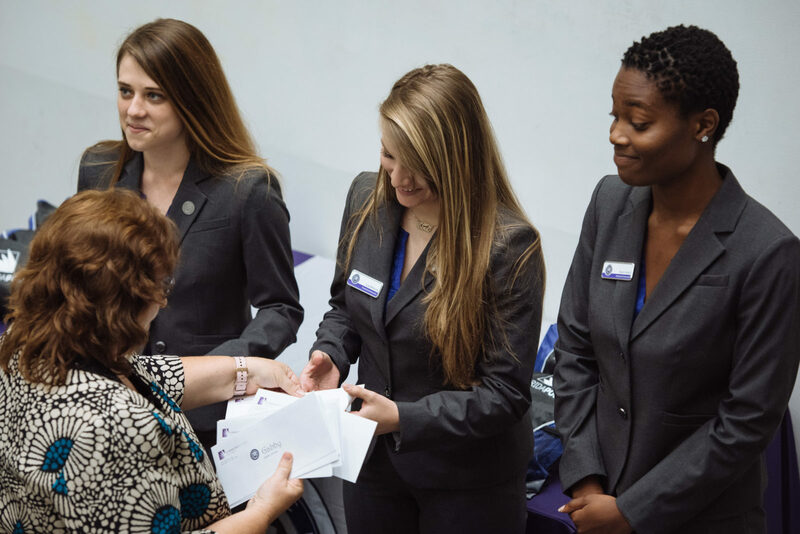 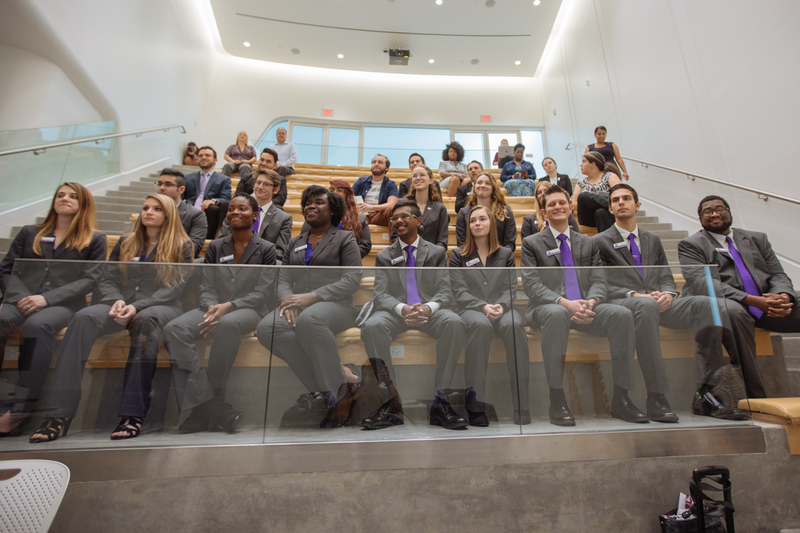 One of the most distinguished student programs at Florida Poly welcomed 10 new members, Monday, April 23, at its annual induction ceremony held in the Innovation, Science and Technology Building’s Aula Magna auditorium. 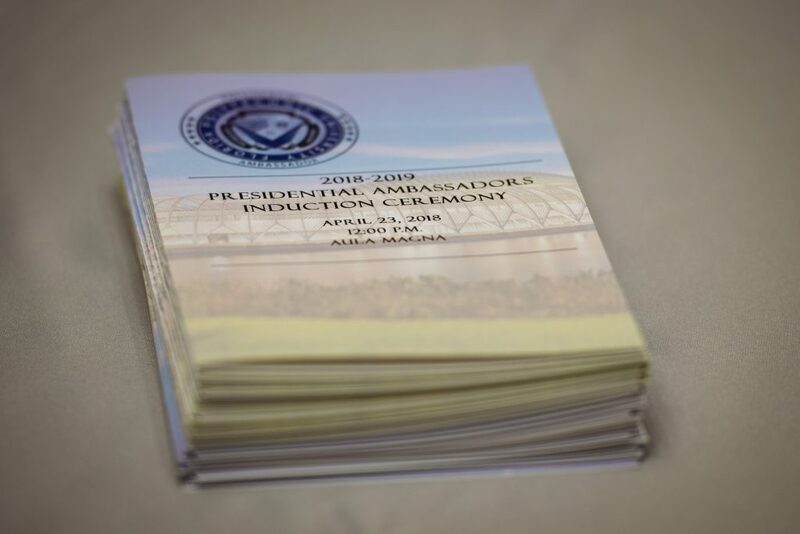 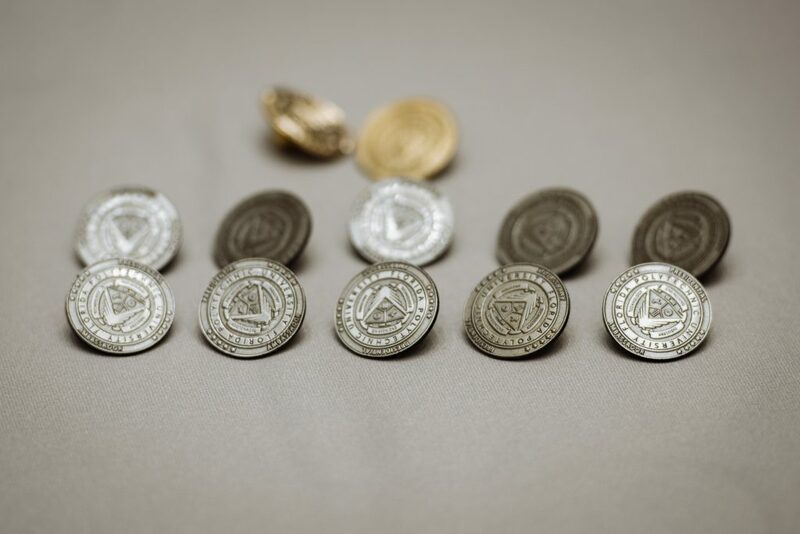 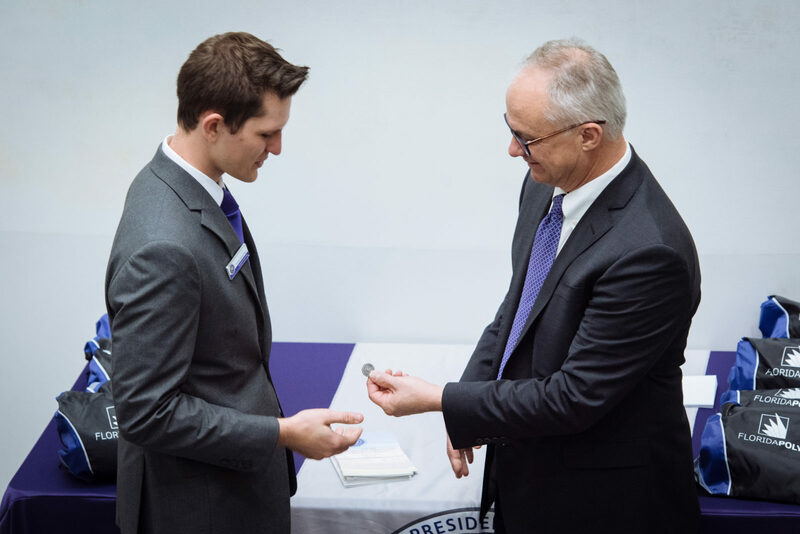 The Presidential Ambassadors are made up of 16 students who are selected based on their academic standing, leadership, skills, citizenship and service citations. 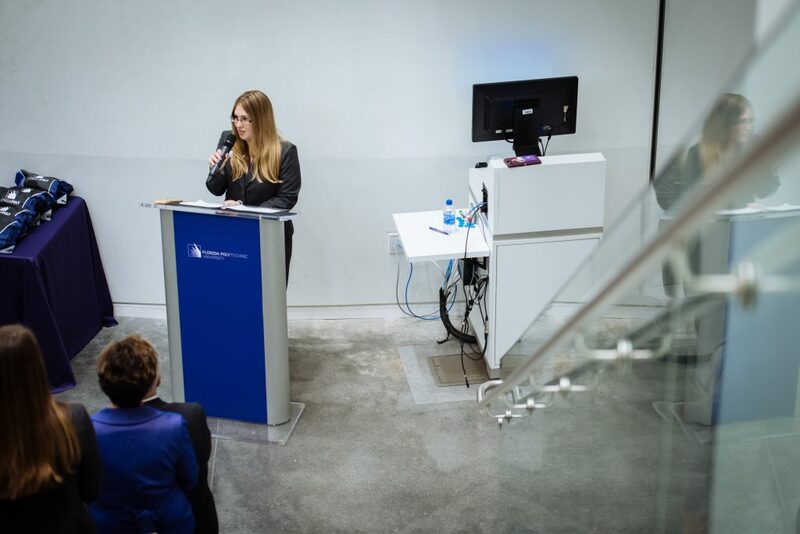 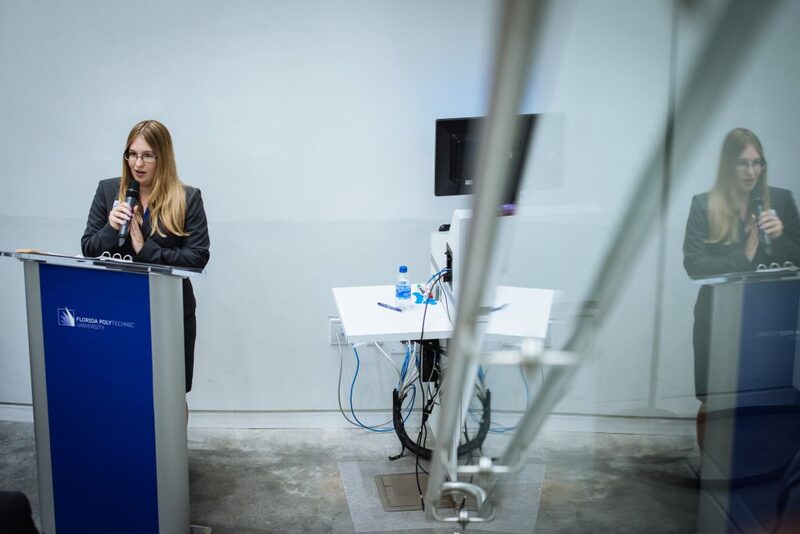 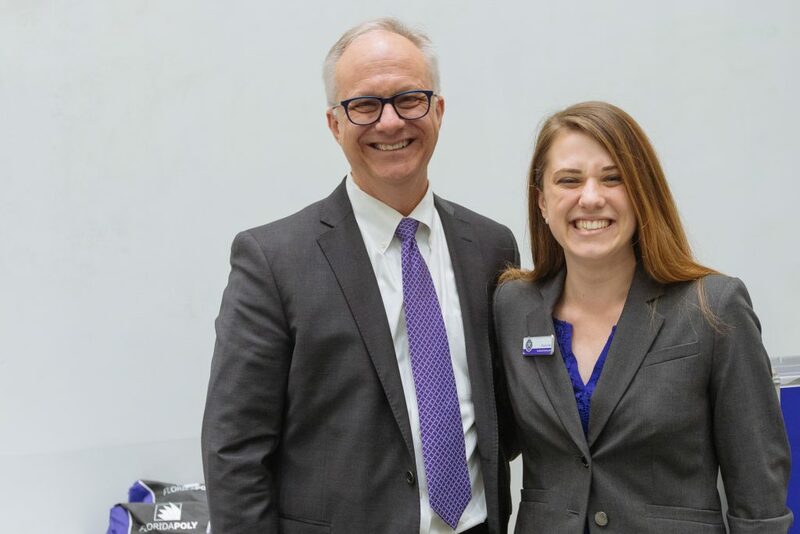 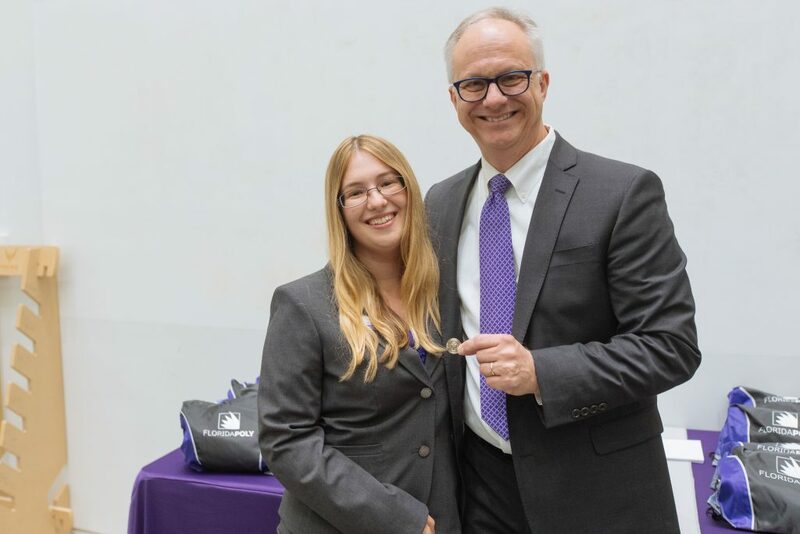 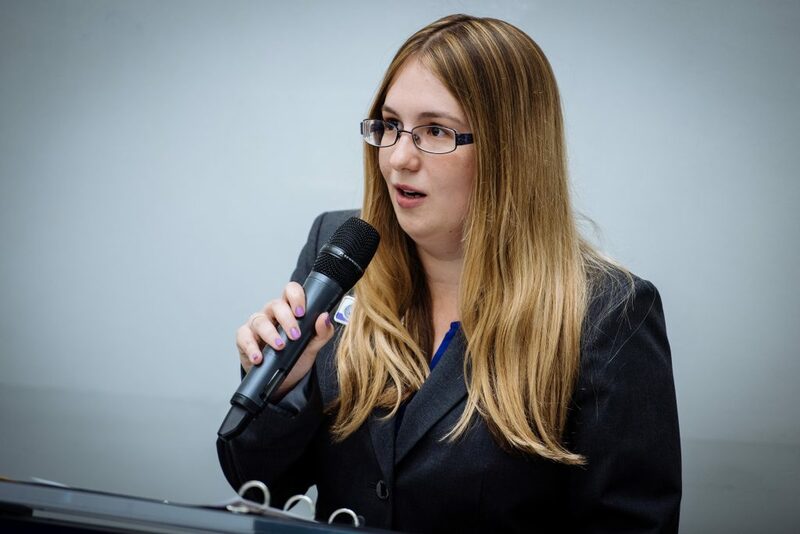 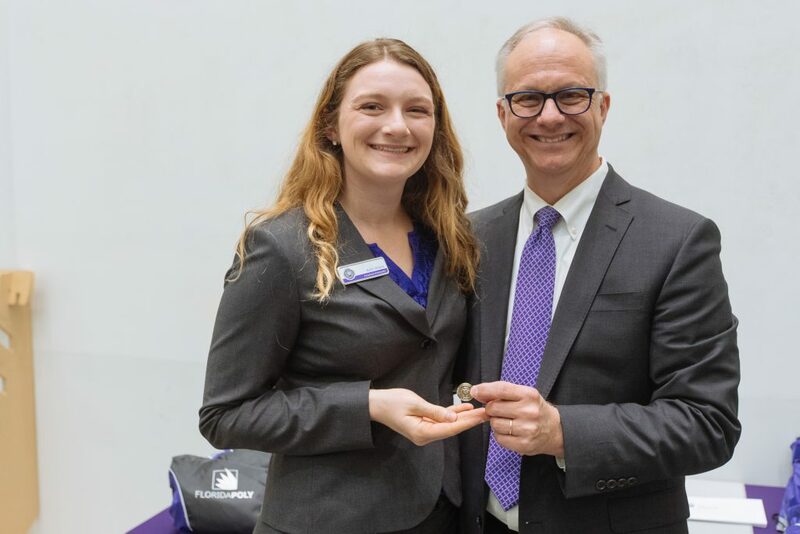 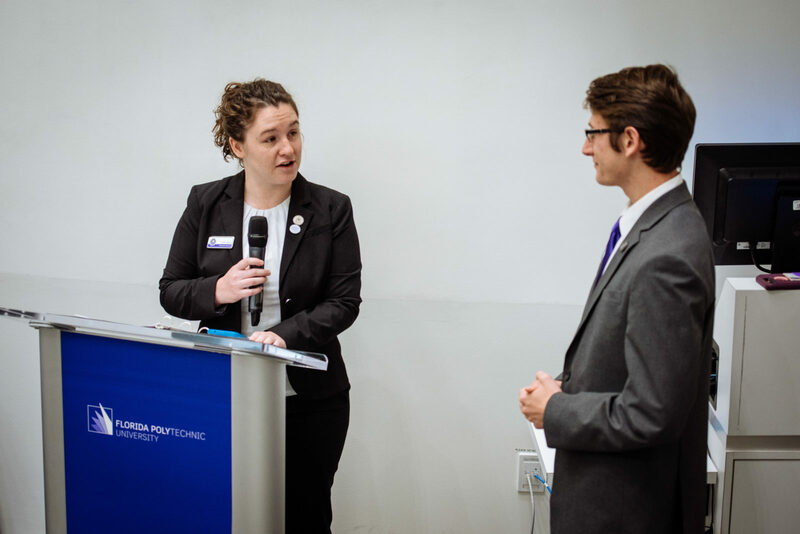 Monday’s ceremony also included the announcement of the group’s new chair as Megan Henson, who takes over for outgoing chair Henrique Bolivar. 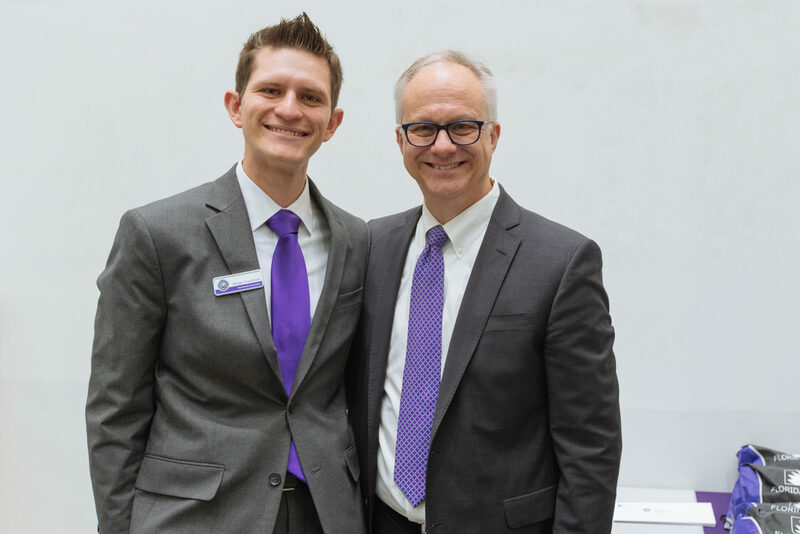 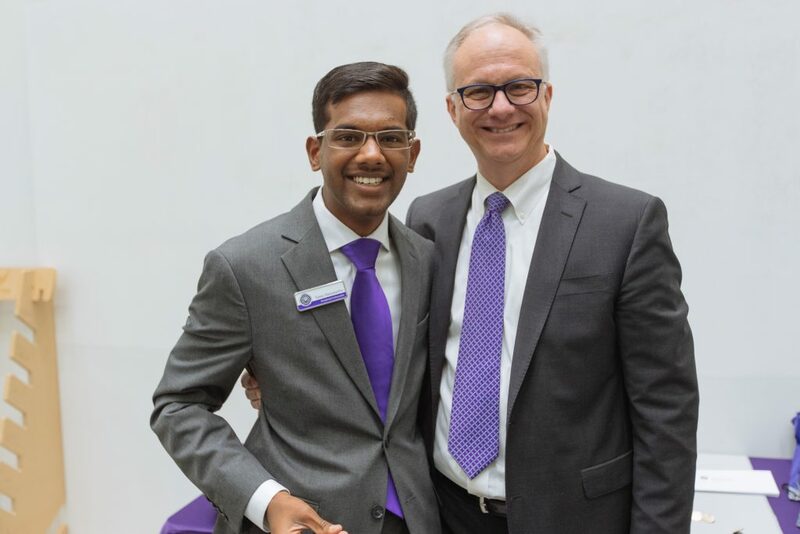 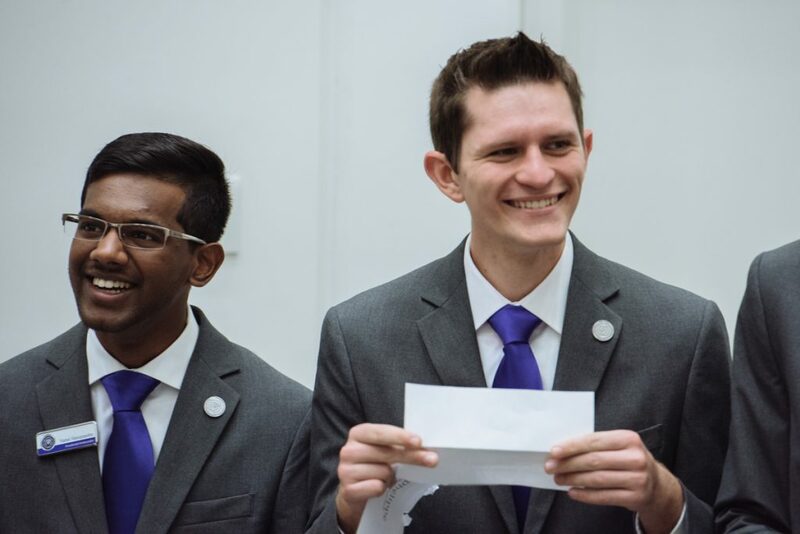 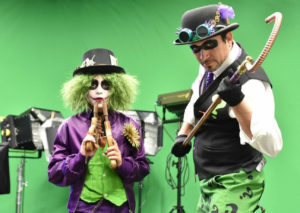 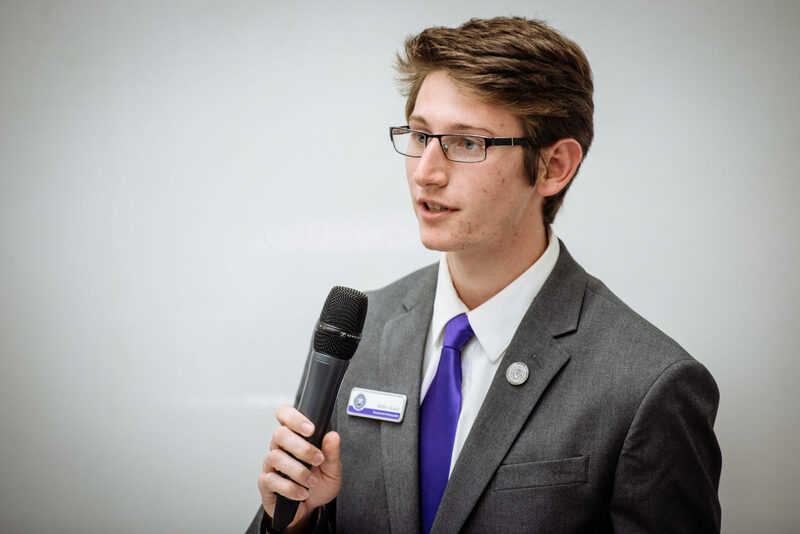 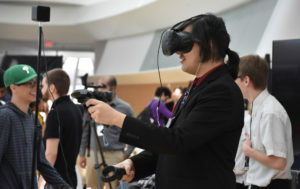 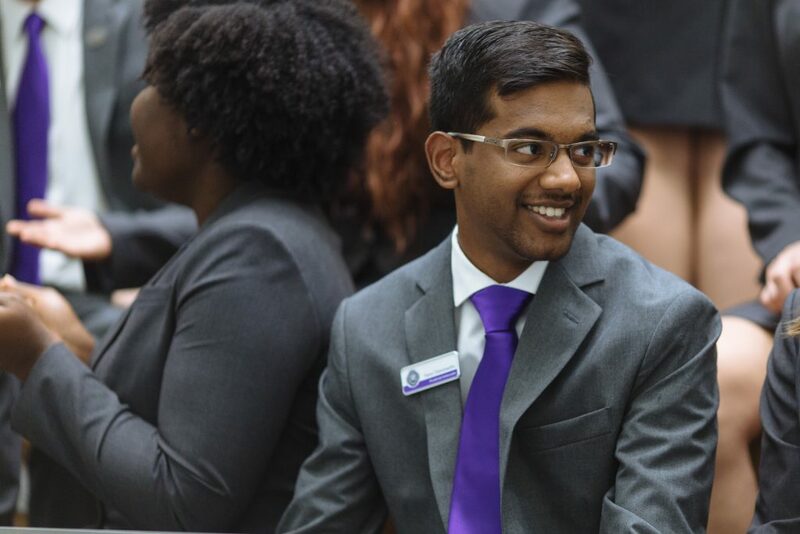 “I’ve had a lot of opportunities that I wouldn’t have had without this program, and I’m really thankful for that,” said Henson, a computer science major from Orlando, Florida, who will be a senior next year. 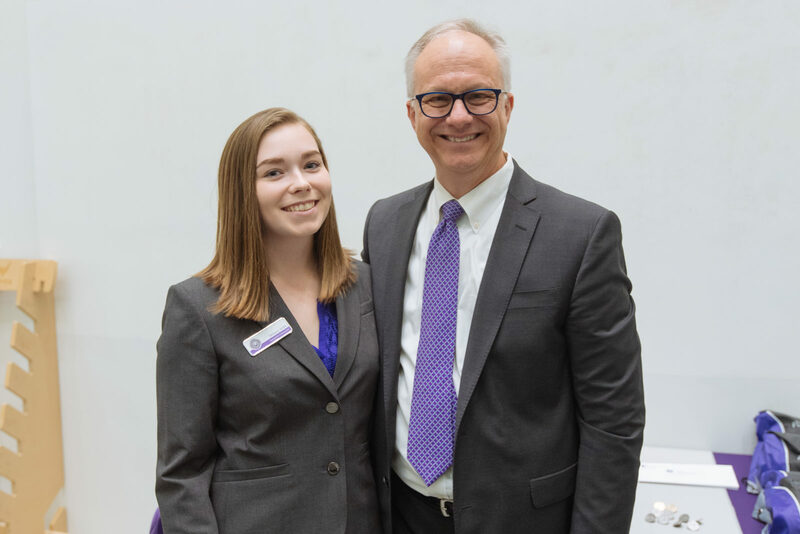 Henson and Kelci Wilson, who will also be a senior, enter 2018-19 as the longest-serving ambassadors as both will begin their third year with the program. 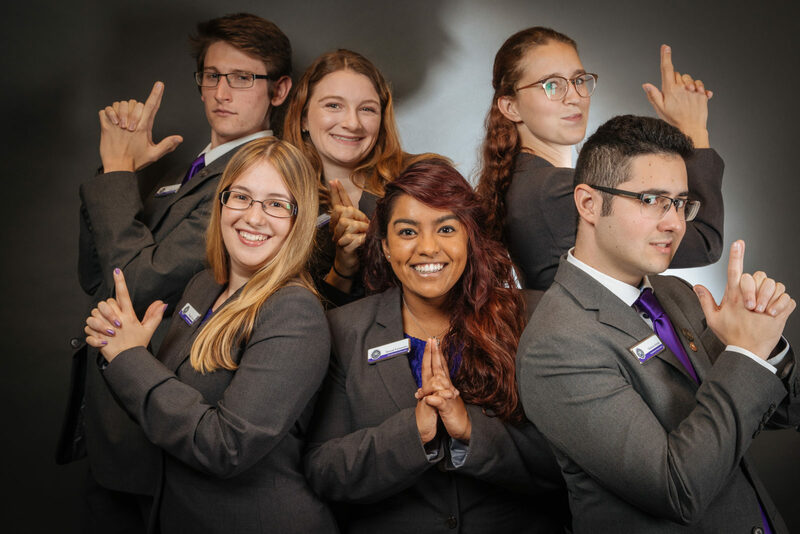 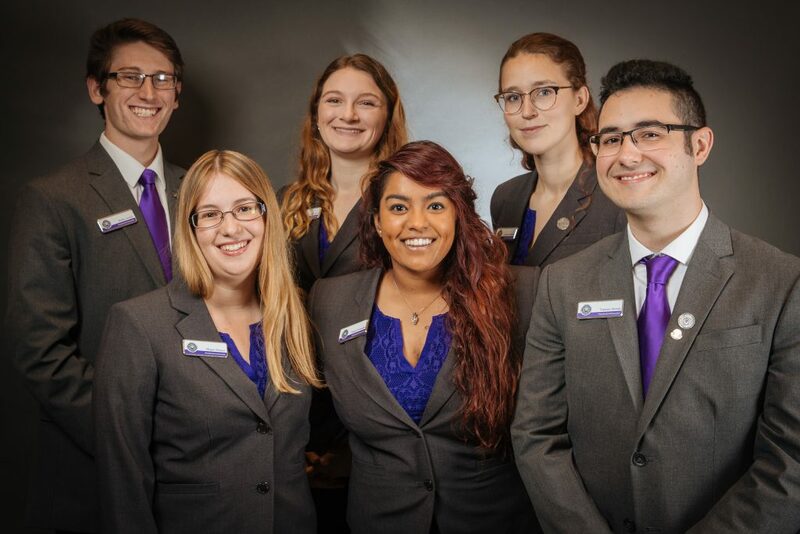 The remainder of the returning ambassadors is Bobby Acacio, Sinead Fernandes, Cassandra Staberg, Kelci Wilson and Vinicius Seixas. 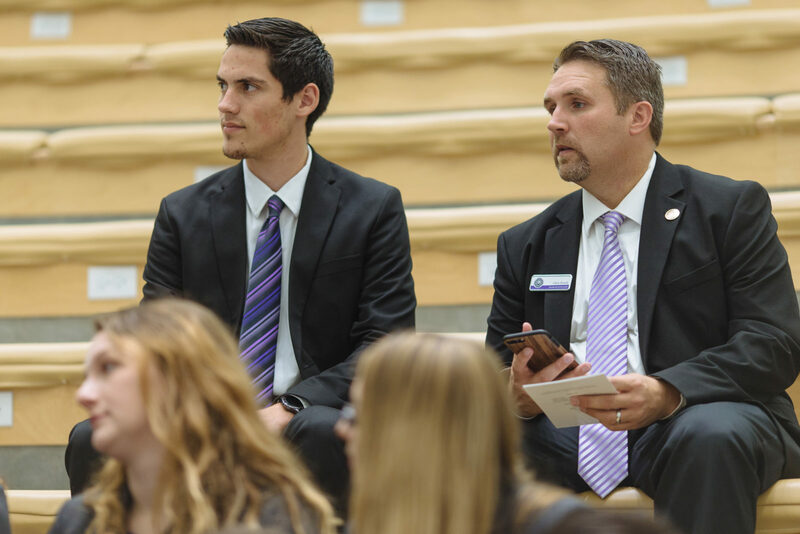 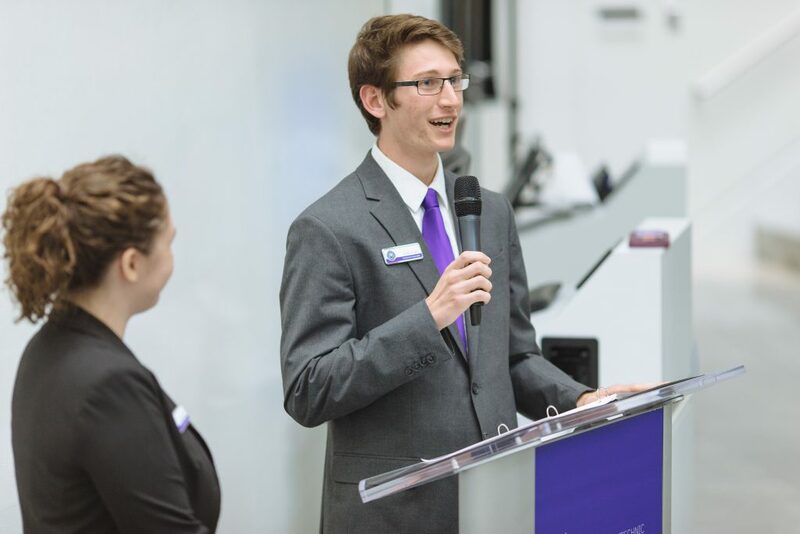 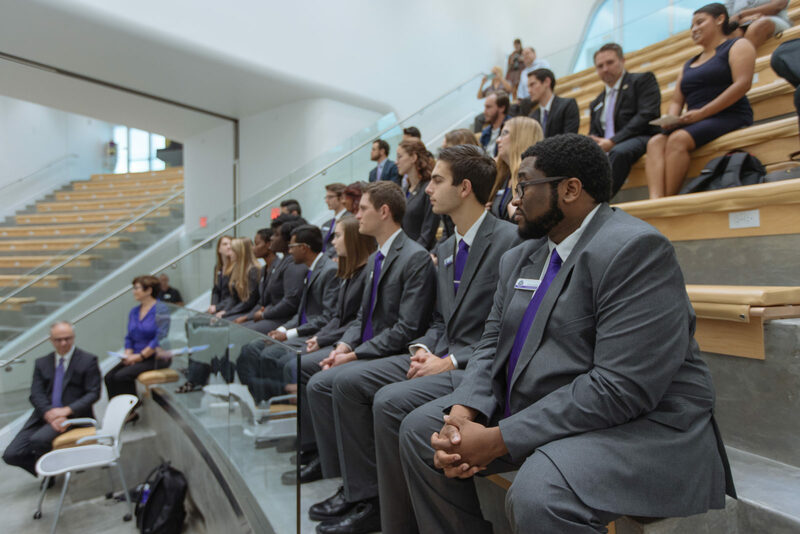 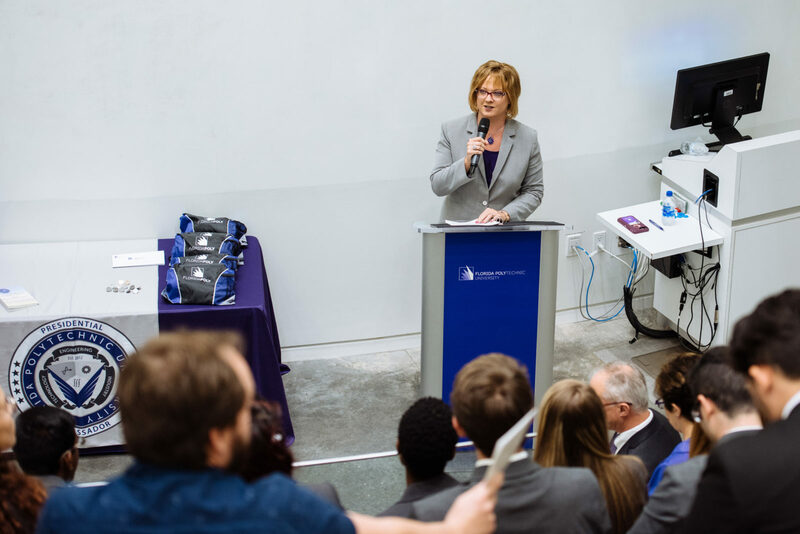 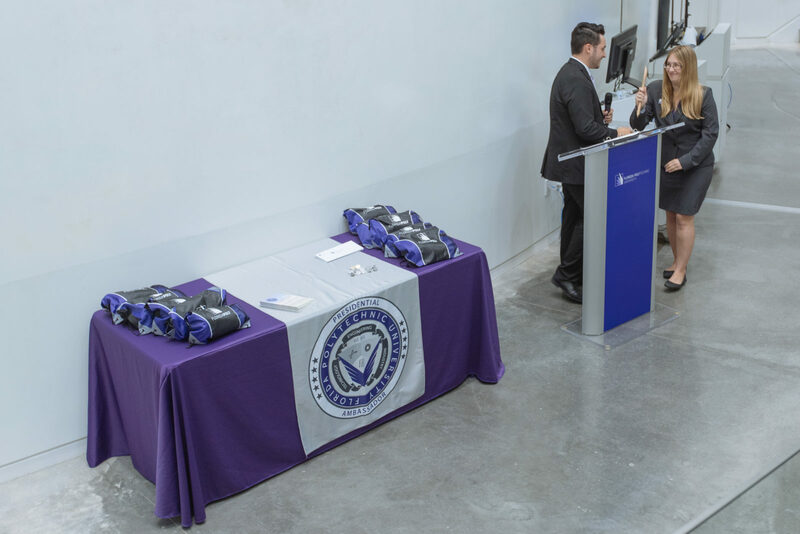 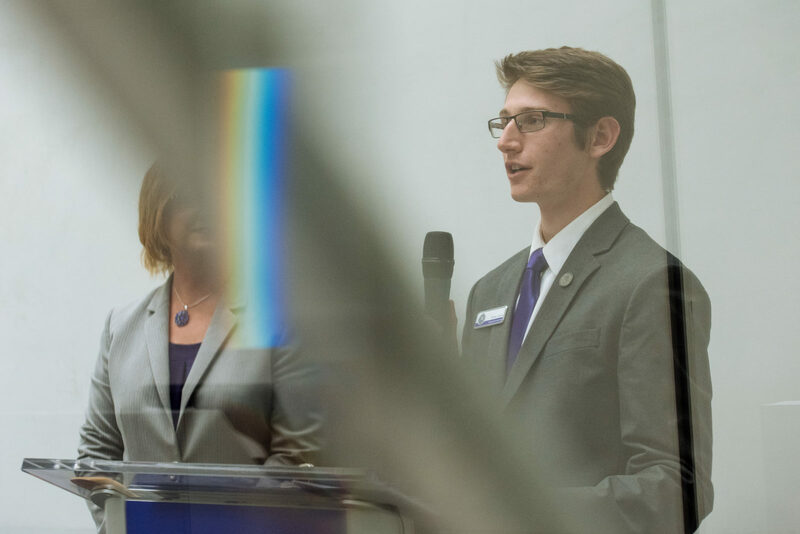 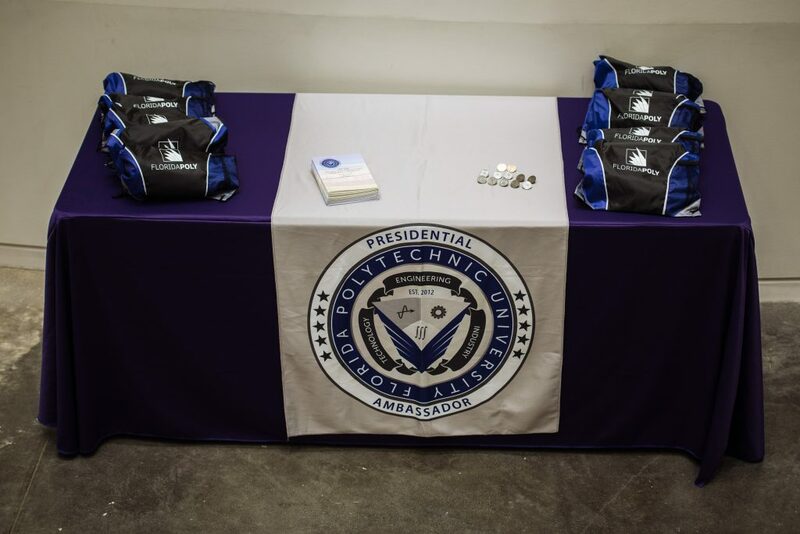 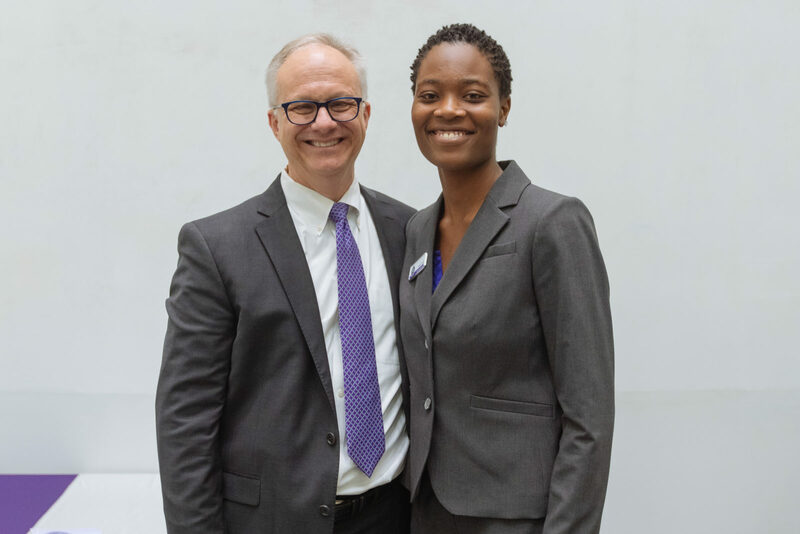 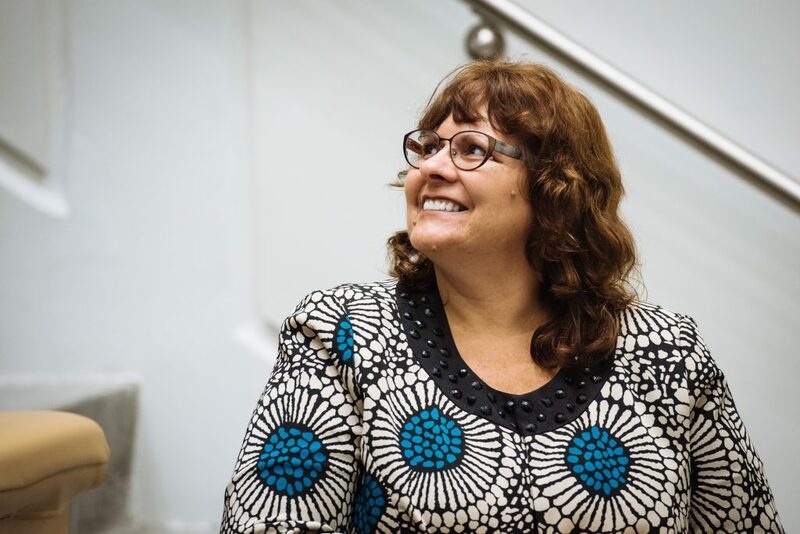 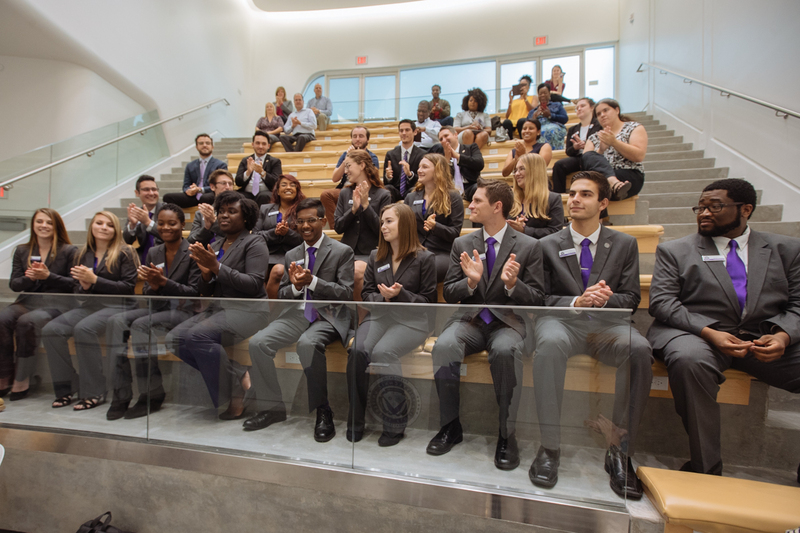 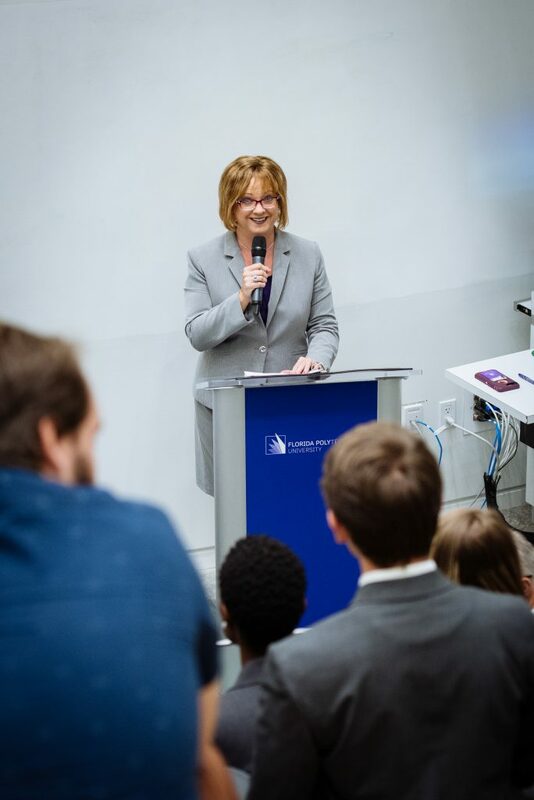 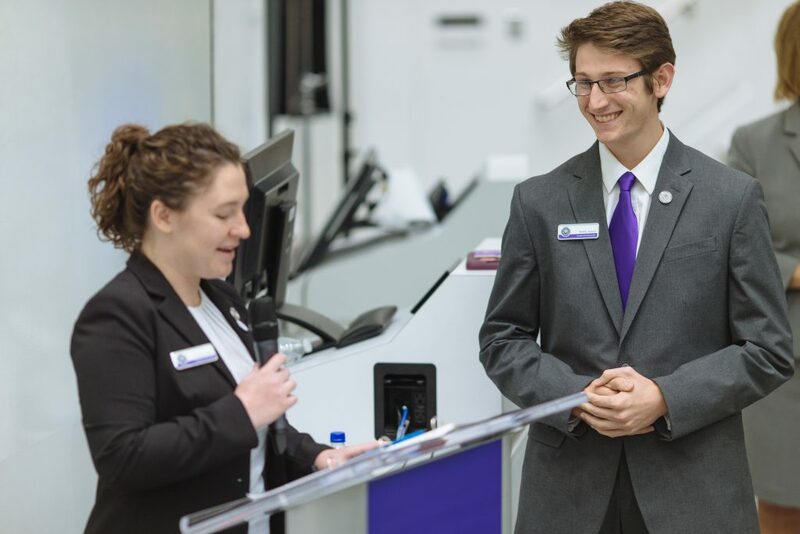 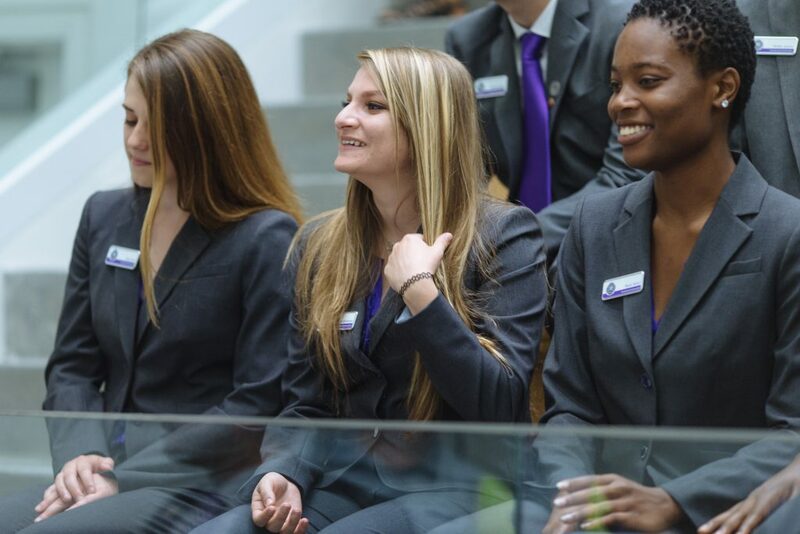 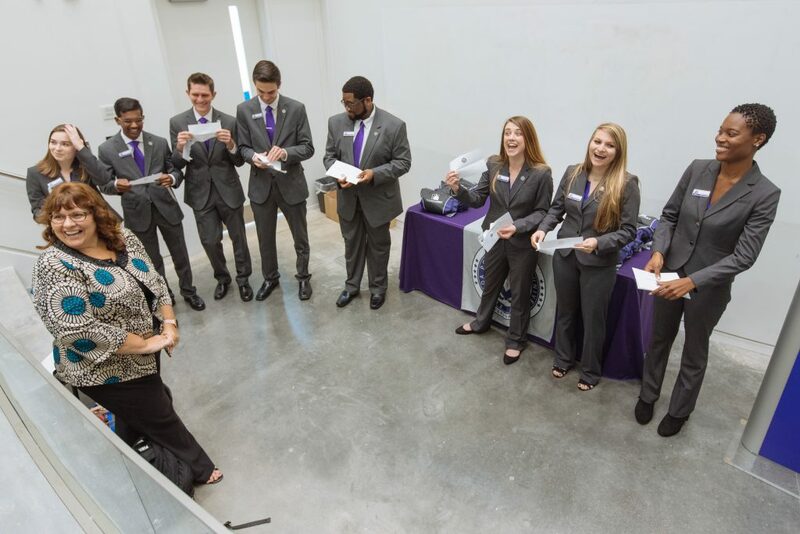 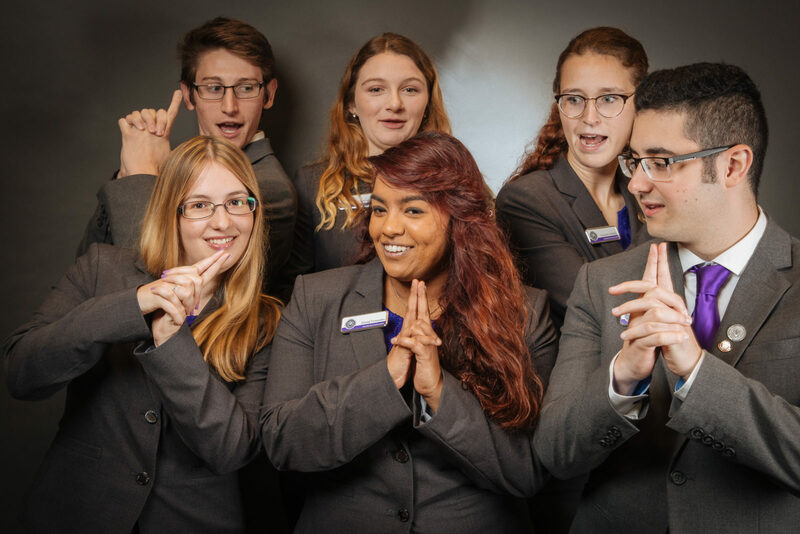 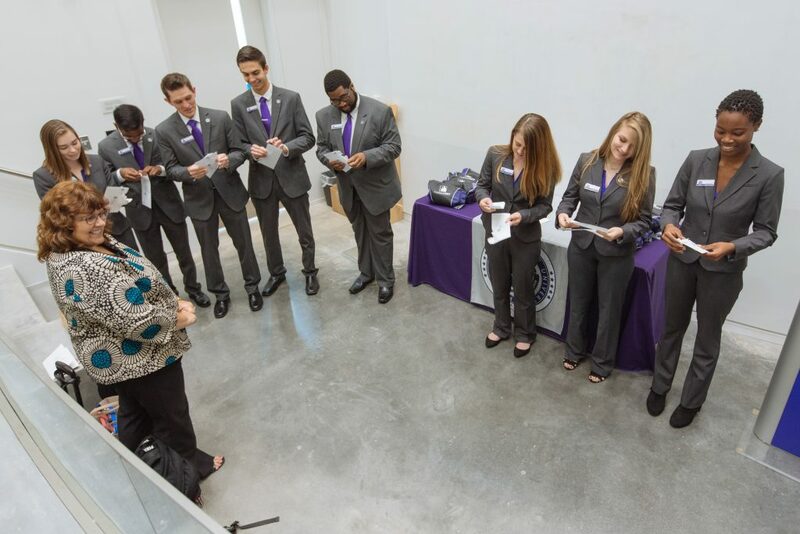 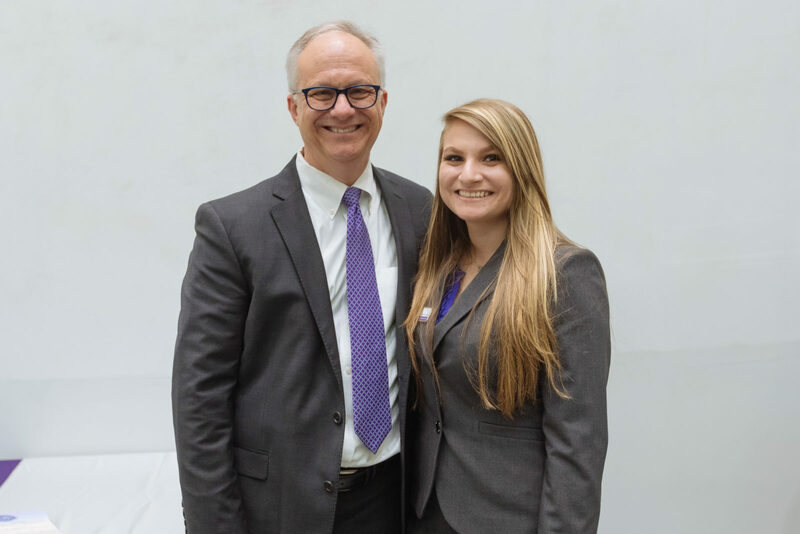 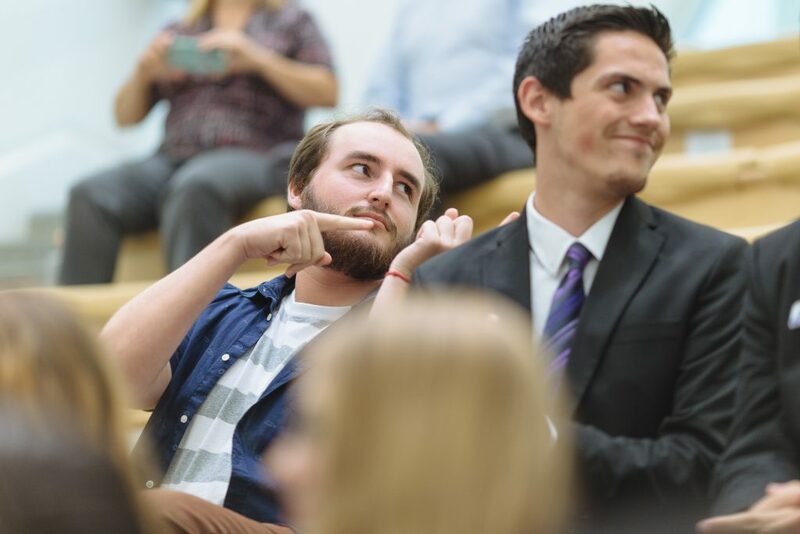 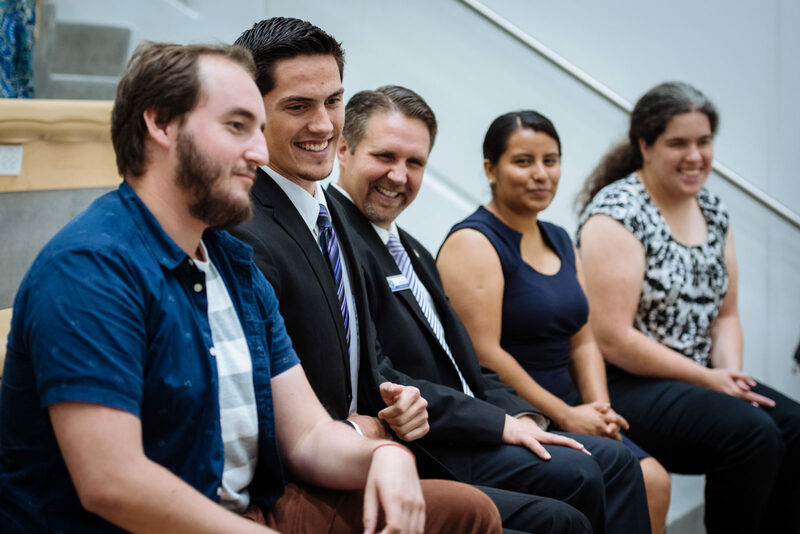 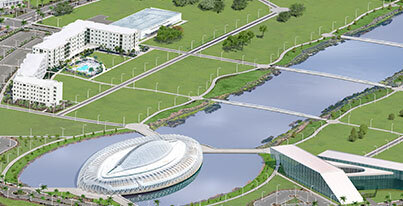 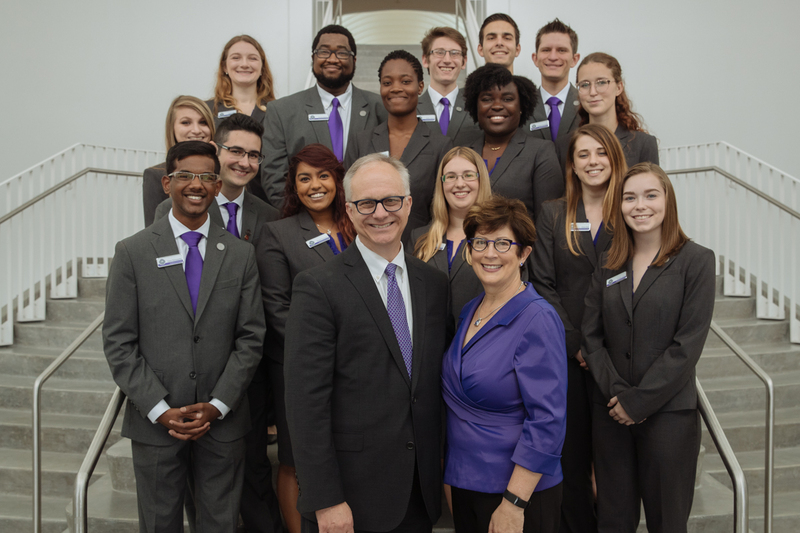 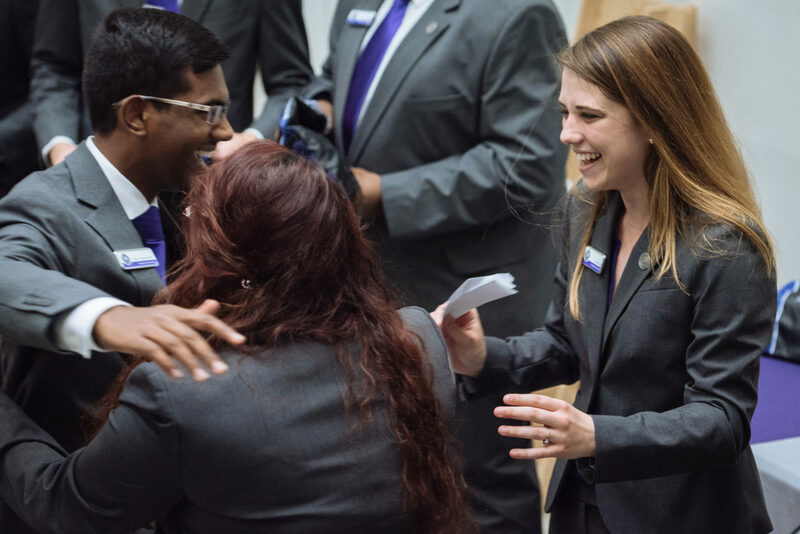 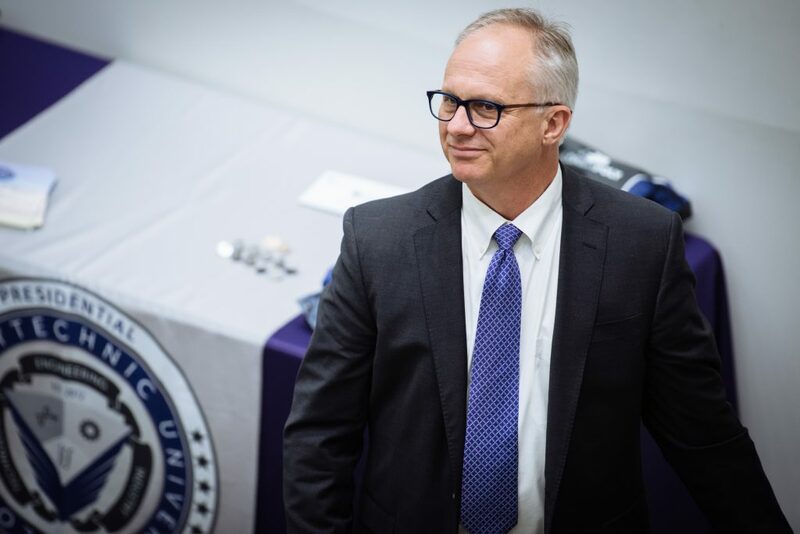 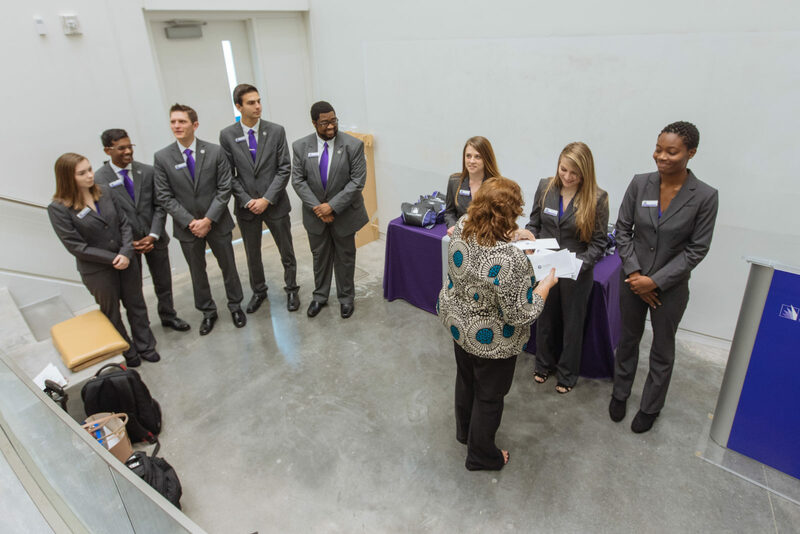 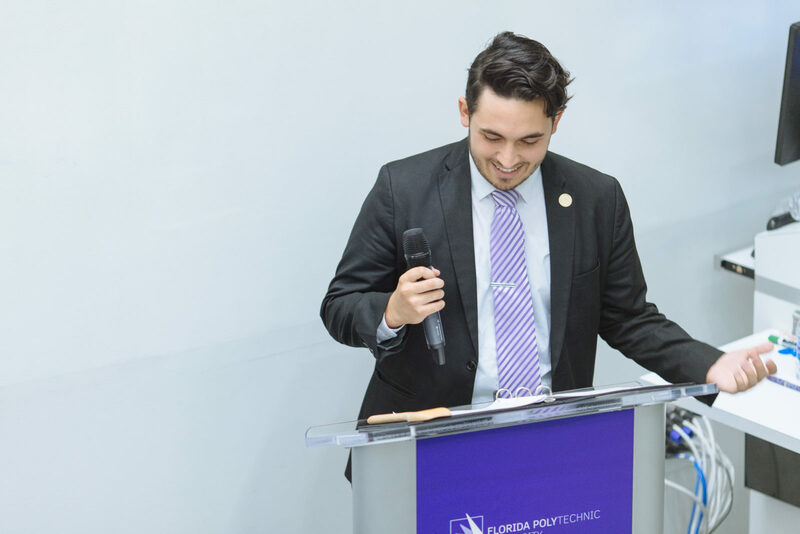 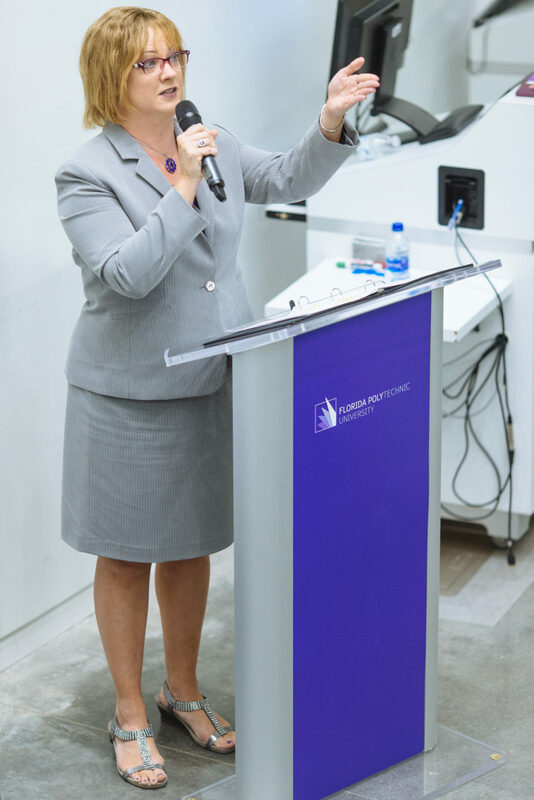 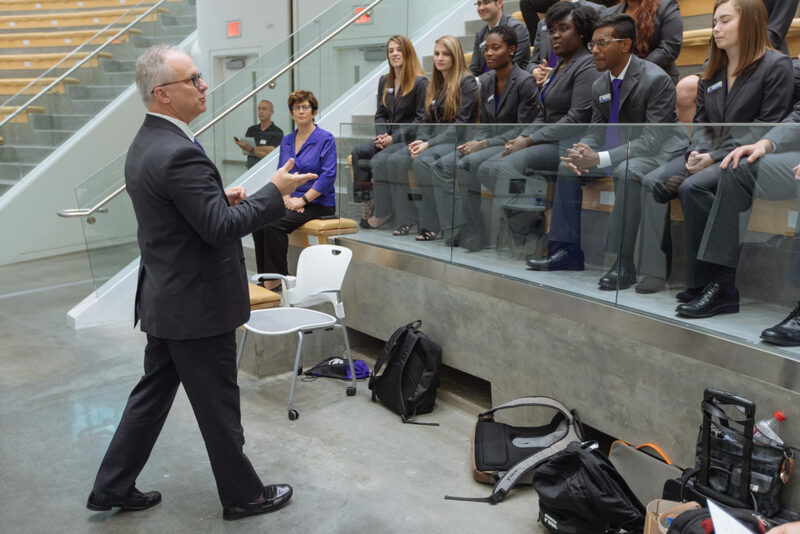 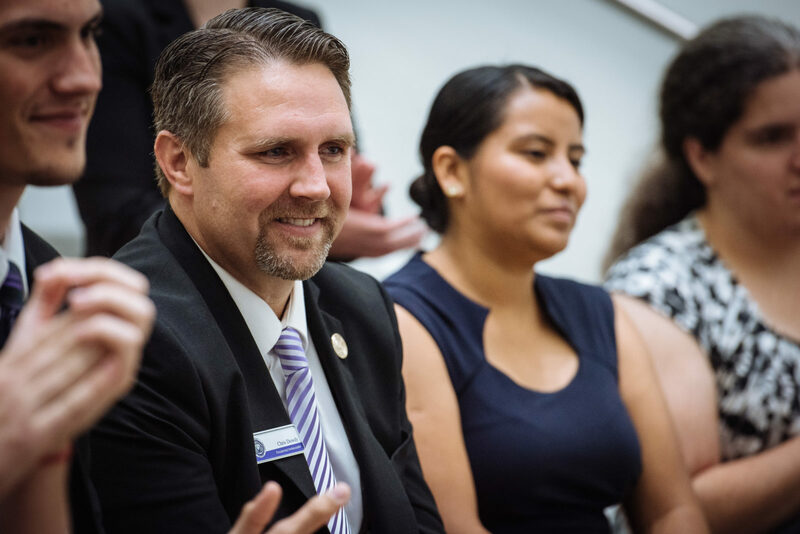 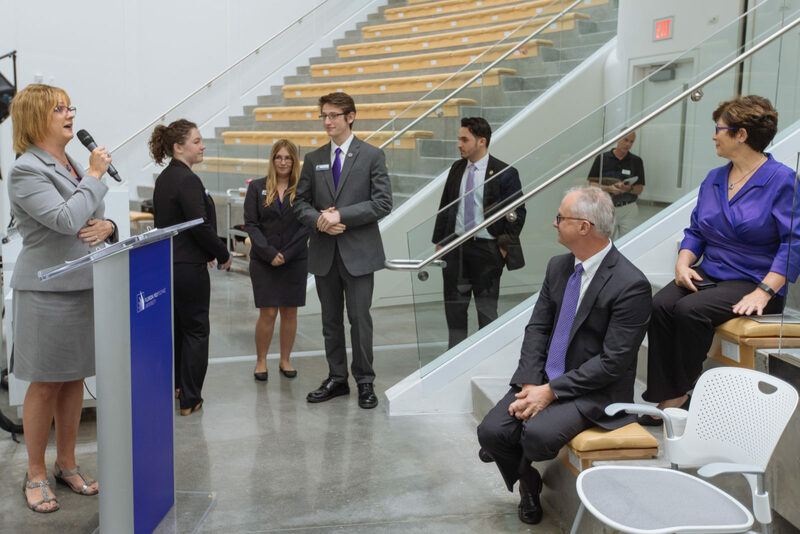 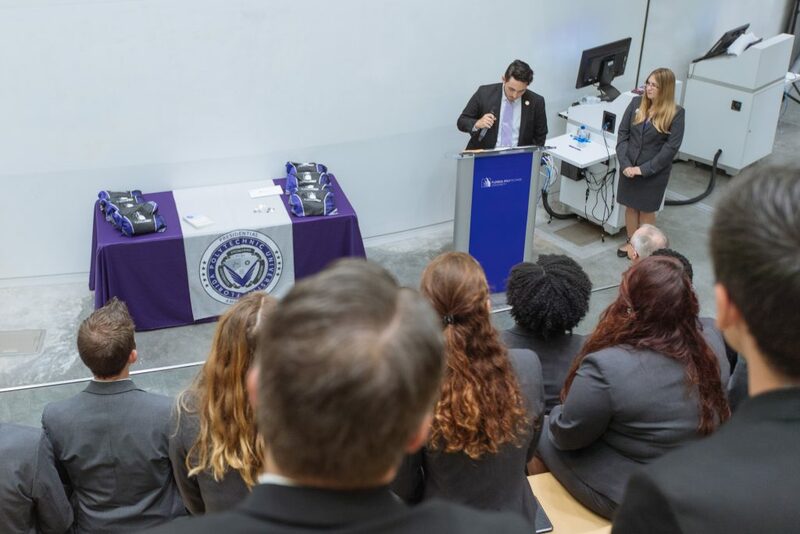 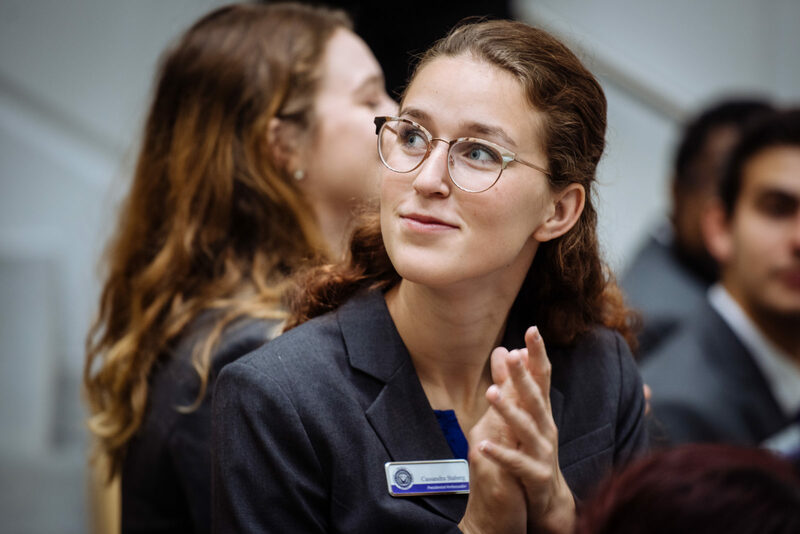 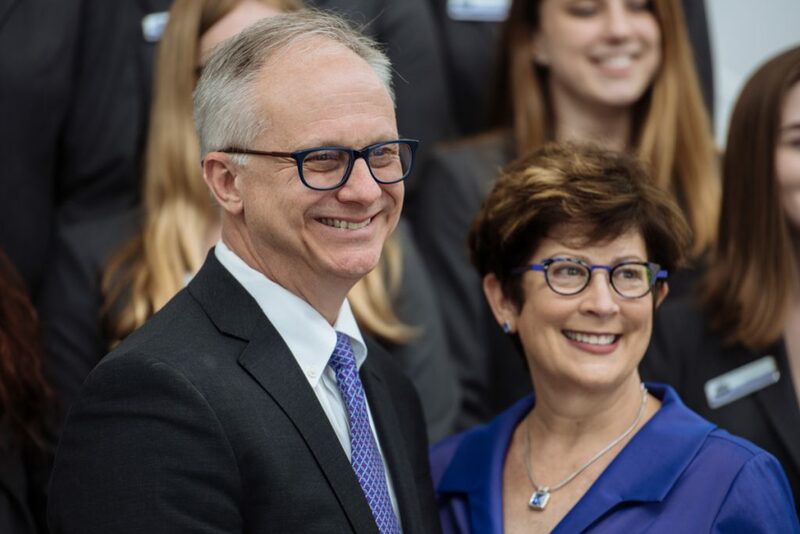 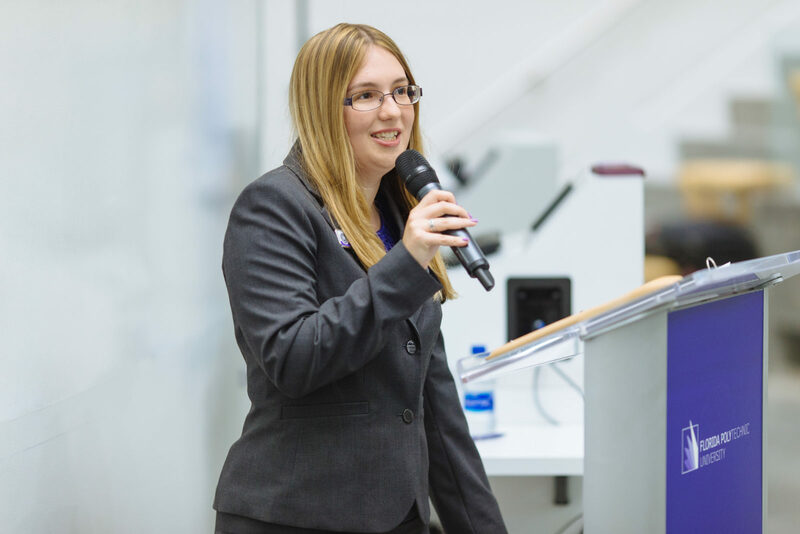 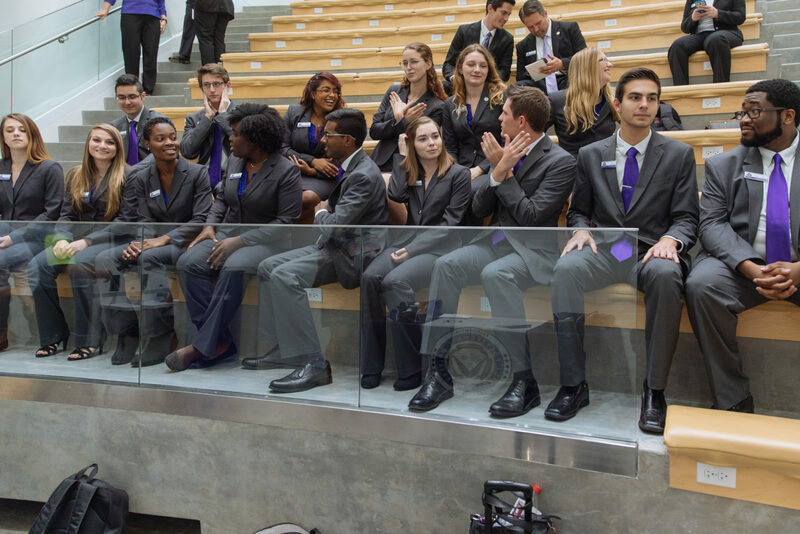 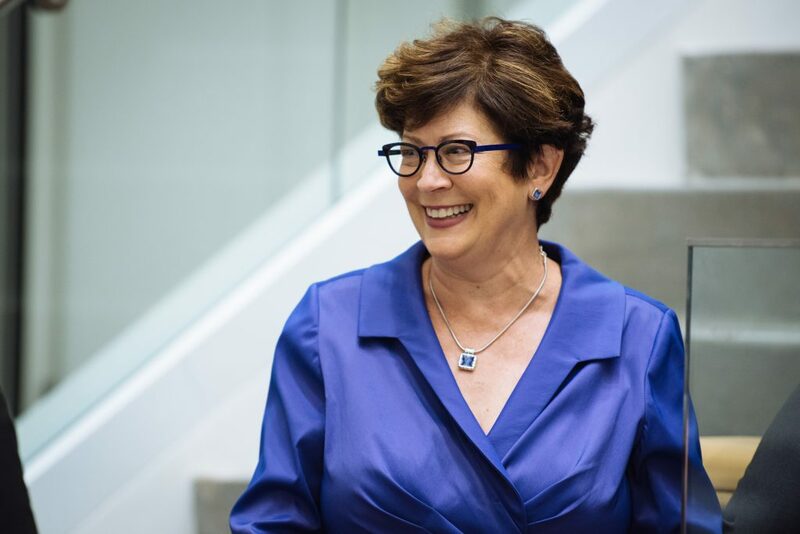 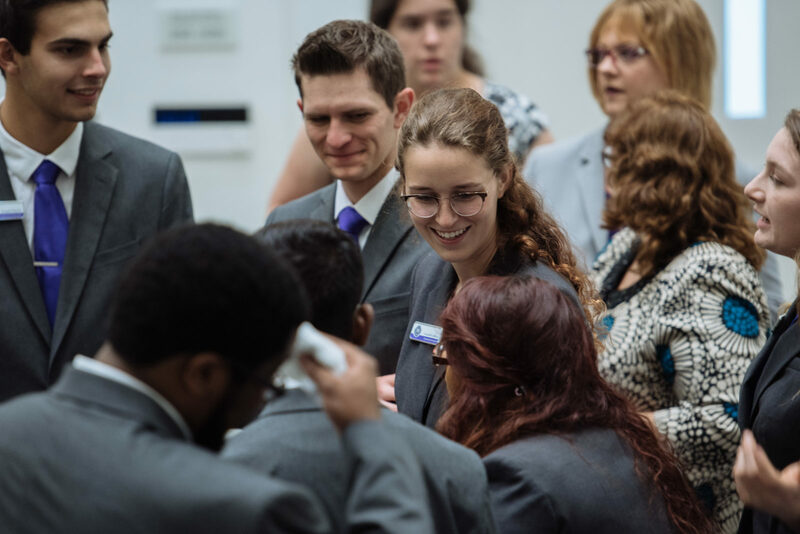 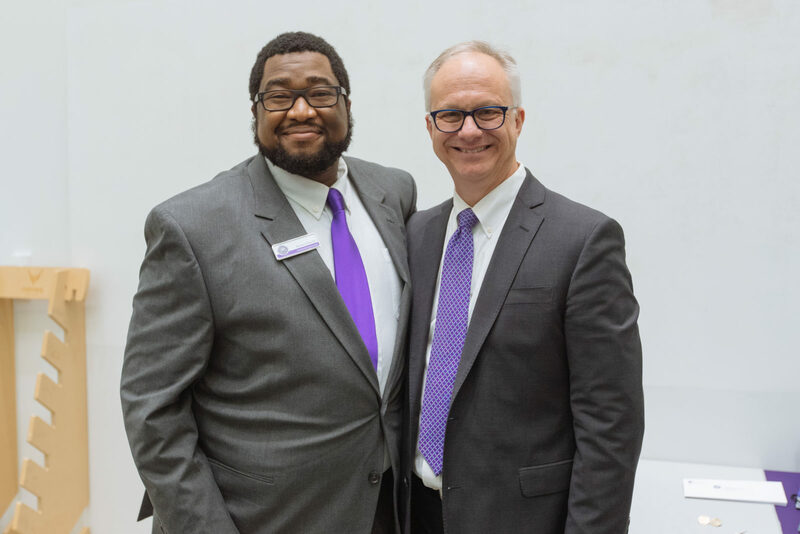 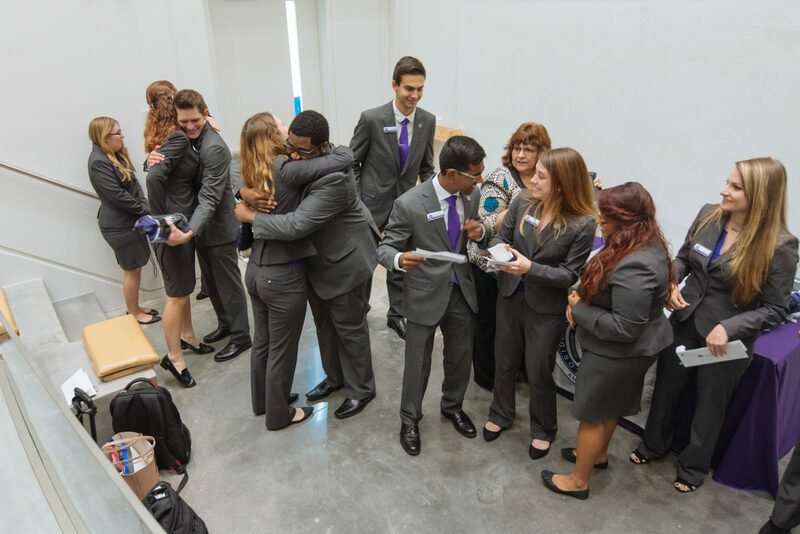 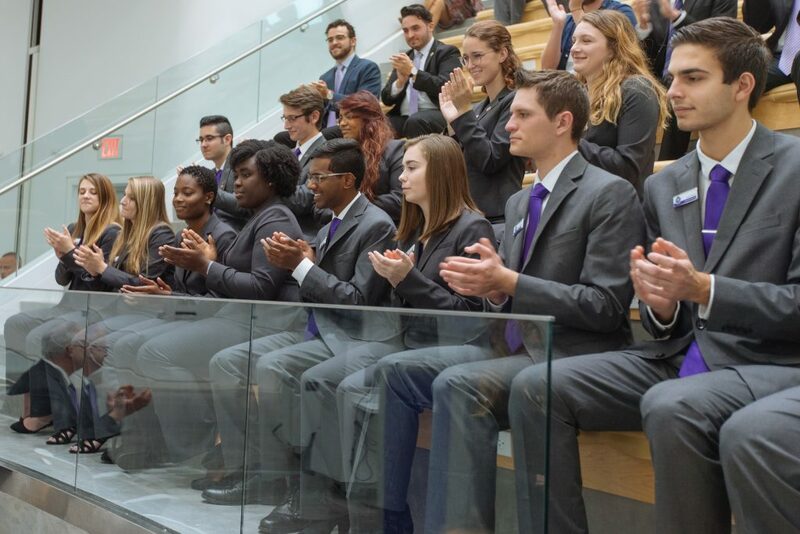 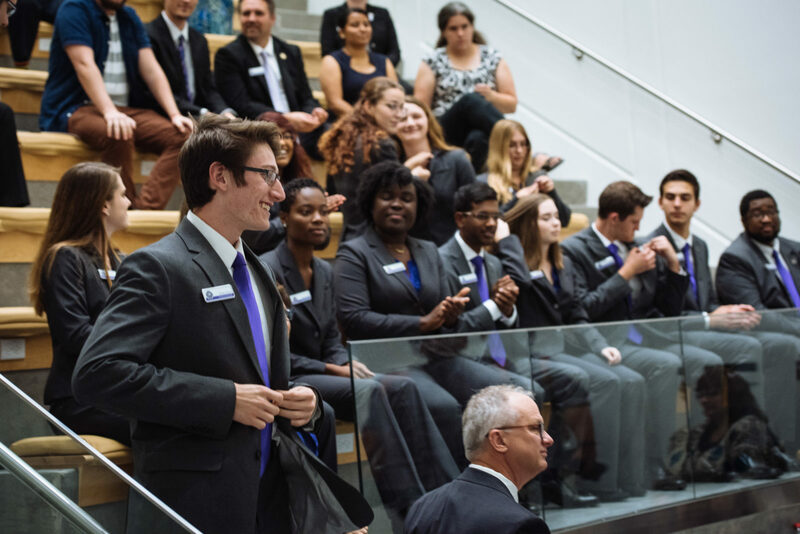 The group represents the president and Florida Polytechnic University at designated university events, promotes the successes and vision of the university and demonstrates excellence through leadership, academics, and citizenship. 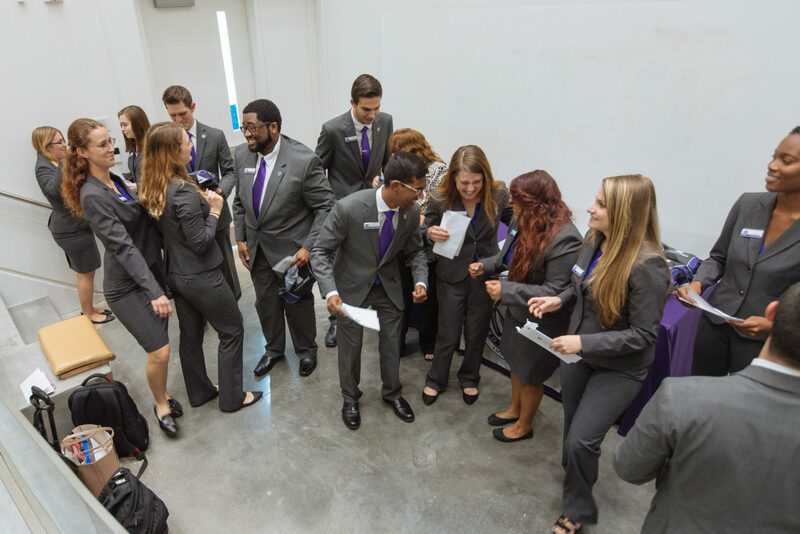 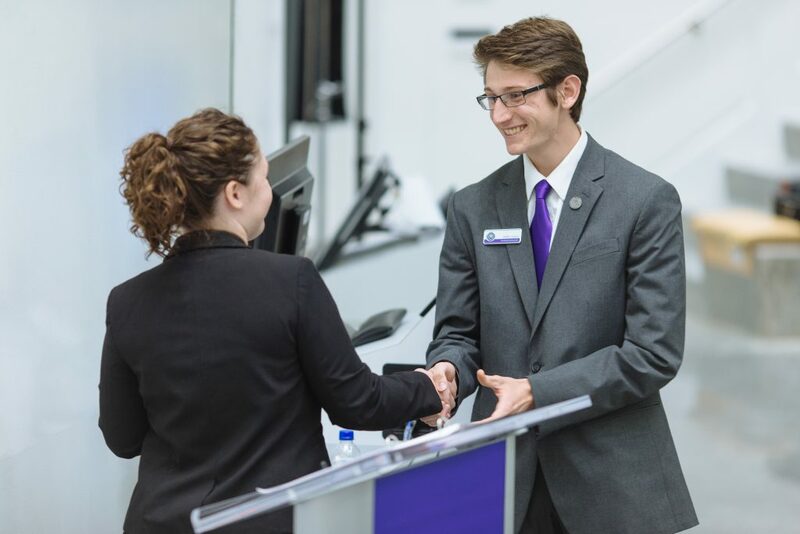 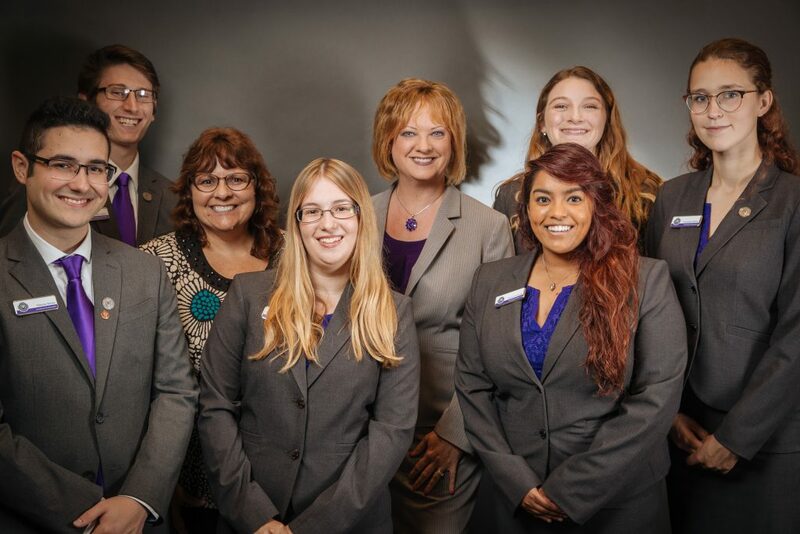 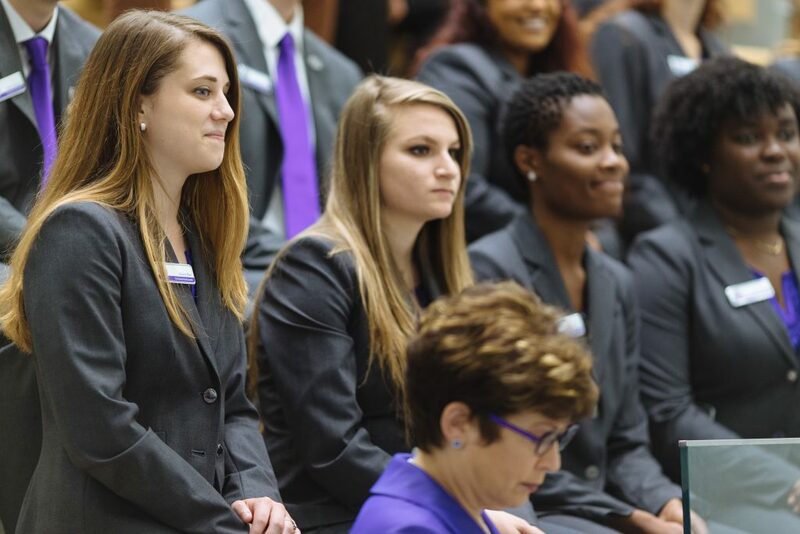 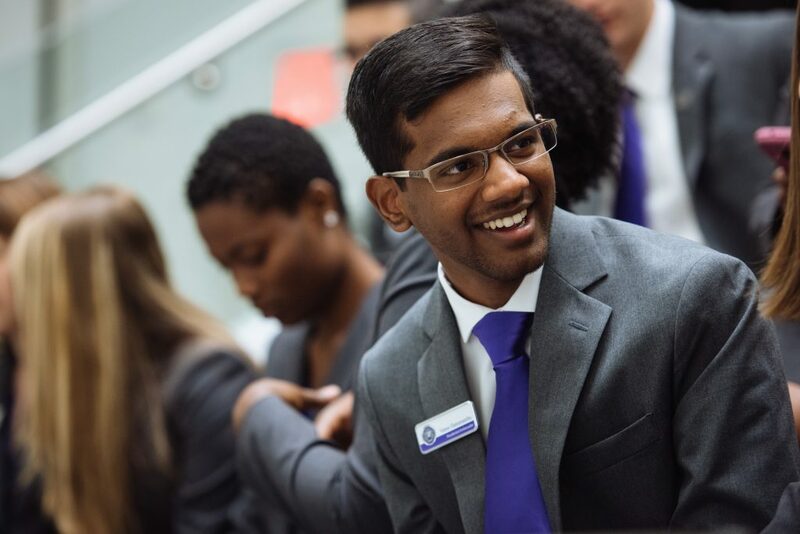 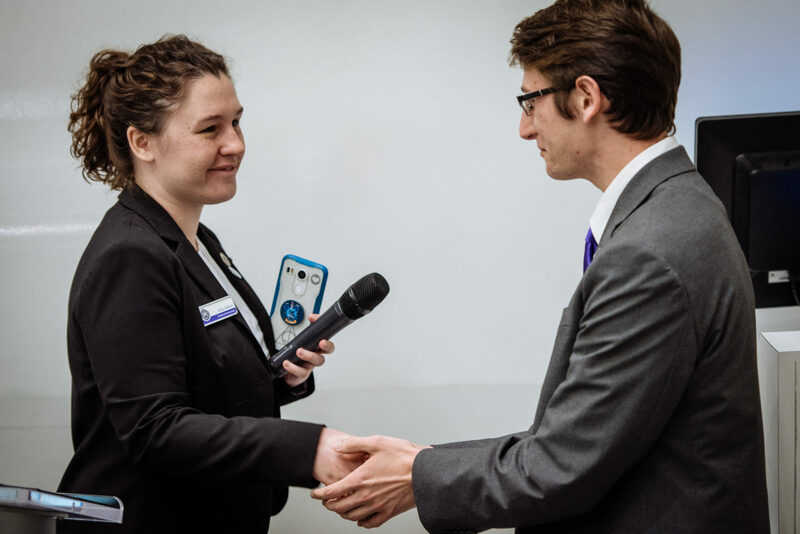 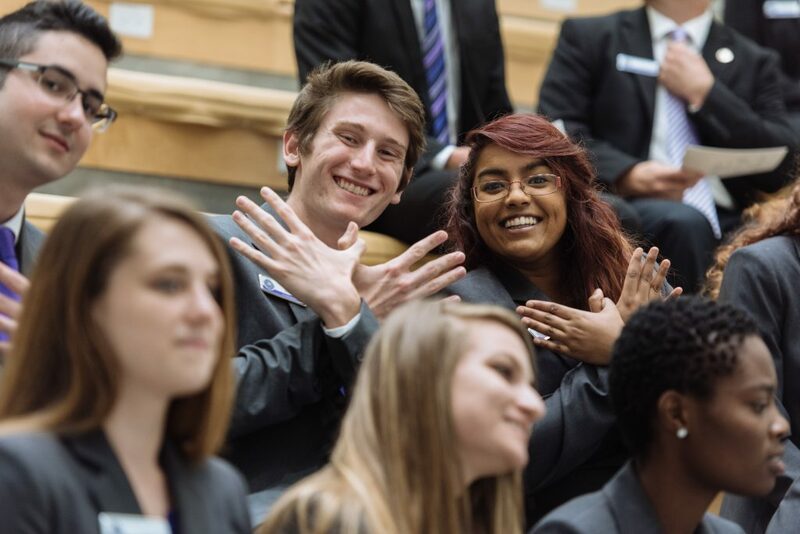 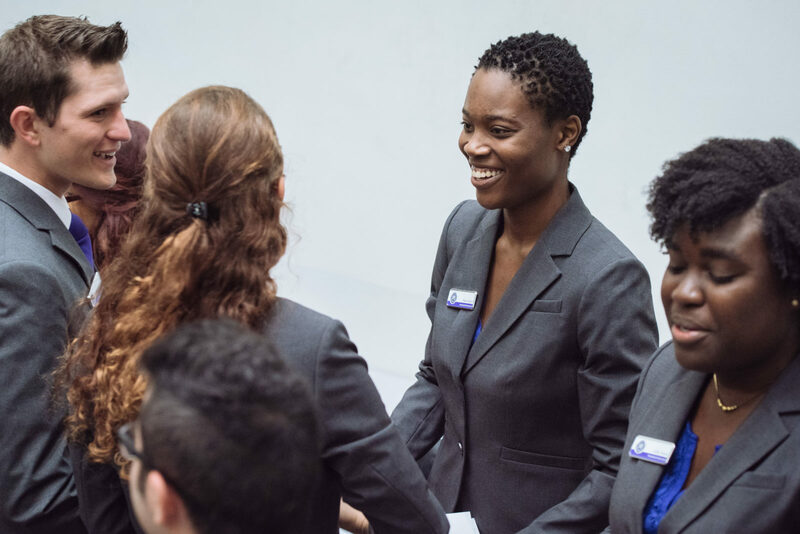 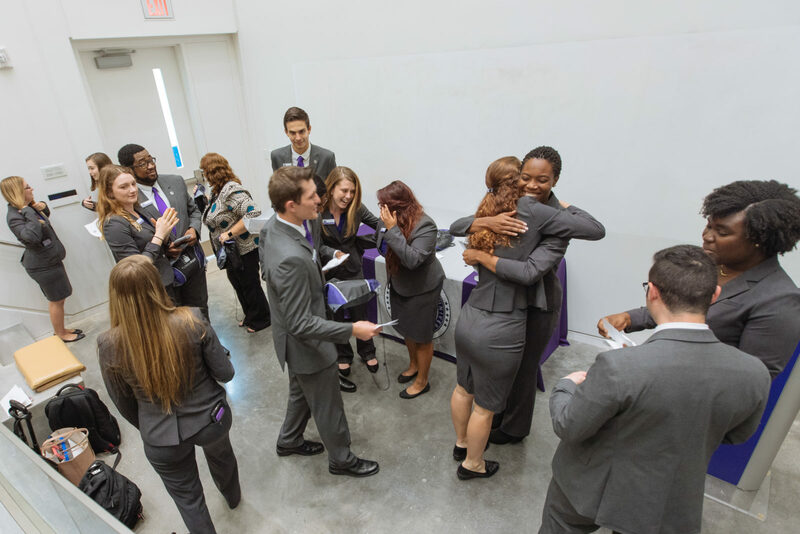 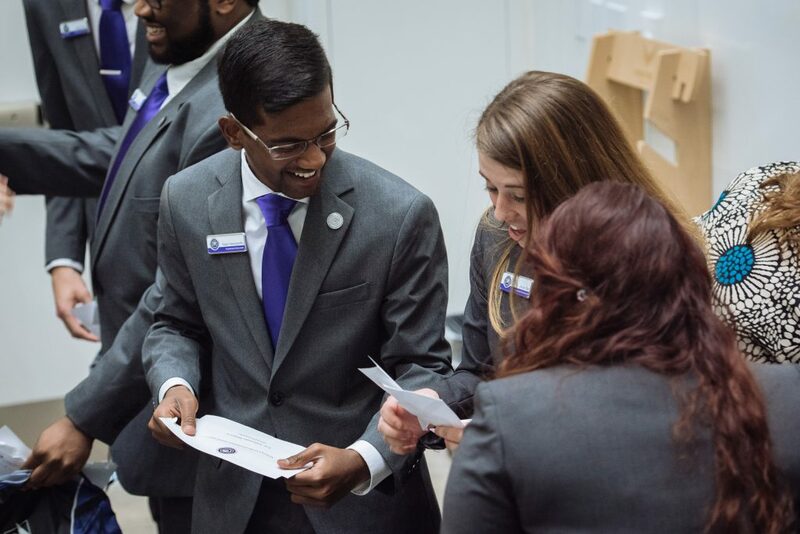 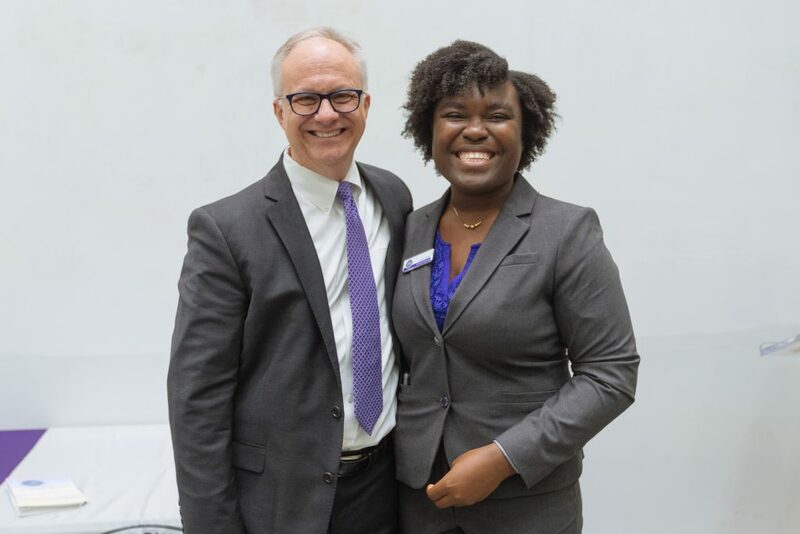 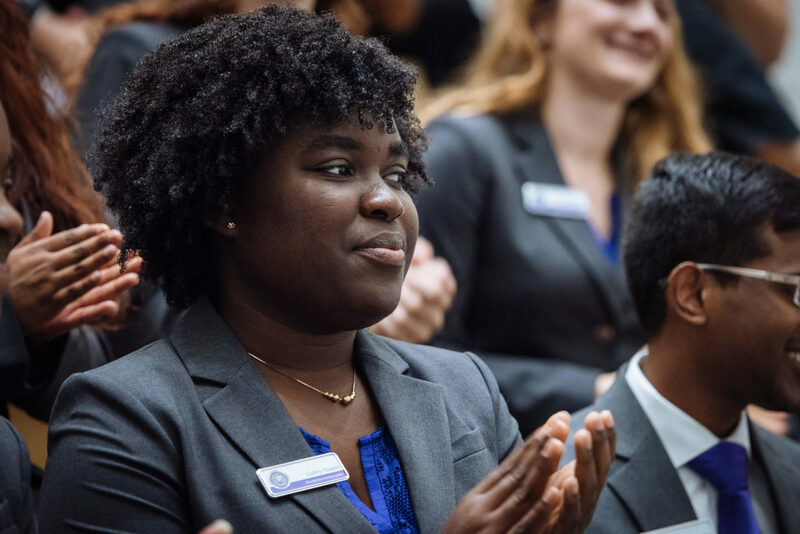 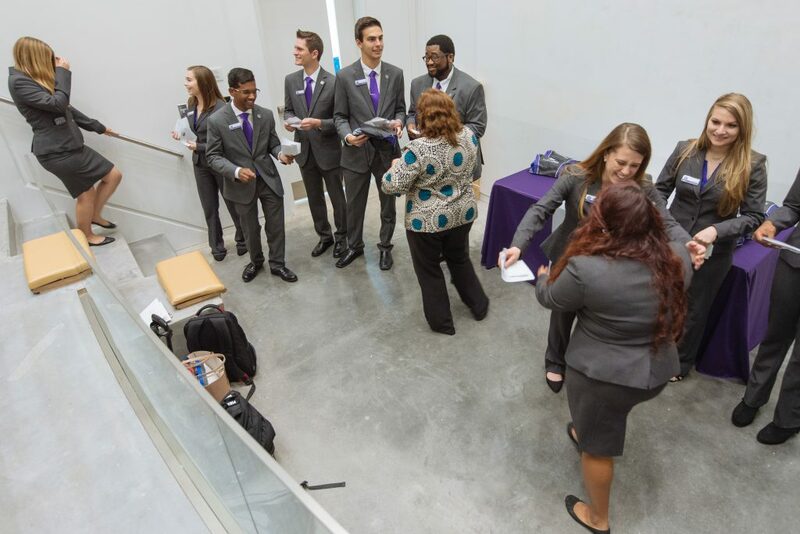 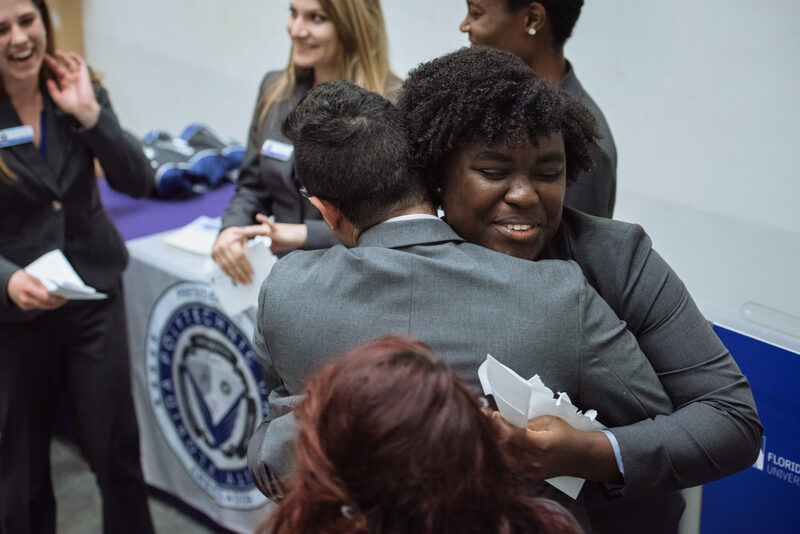 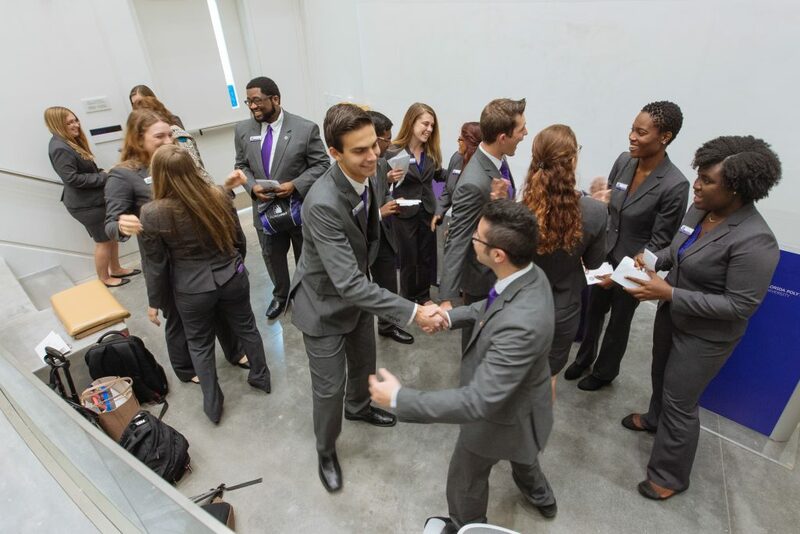 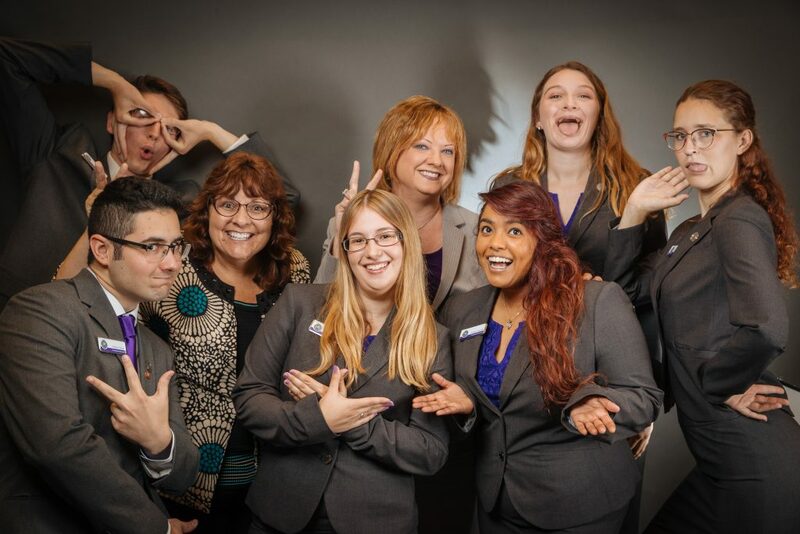 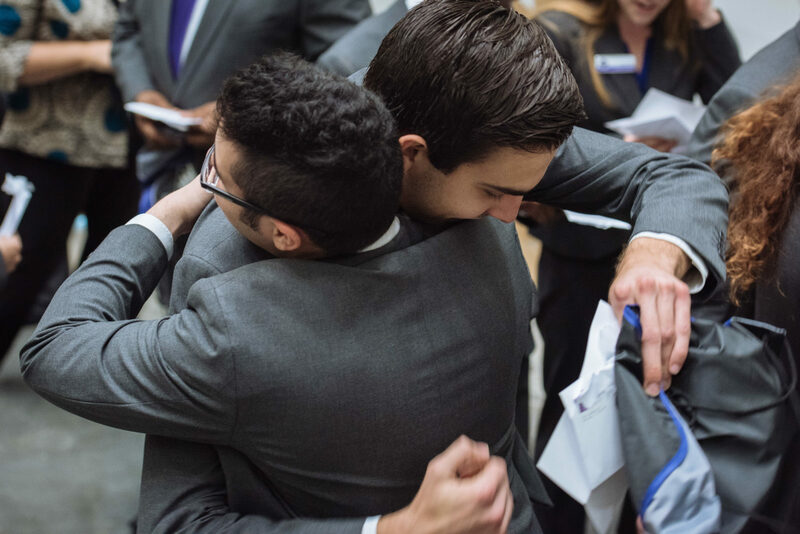 The program is a one-of-a-kind leadership development opportunity that offers students a chance to network with important university constituents and enhance their public relations, event planning, and professional etiquette skills while engaging in service to the Florida Poly community.